On April 25th, DNA Day and Arbor Day, Family Tree DNA updated and released their 2014 Y haplotree created in partnership with the Genographic project. This has been a massive project, expanding the tree from about 850 SNPs to over 6200, of which about 1200 are “terminal,” meaning the end of a branch, and the rest being proven to be duplicates. If you’re a newbie, this would be a good place perhaps to read about what a haplogroup is and the new Y naming convention which replaces the well-known group names like R1b1a2 with the SNP shorthand version of the same haplogroup name, R-M269. From this time forward, the haplogroups will be known by their SNP names and the longhand version is obsolete, although you will always see it in older documents, articles and papers. In fact, this entire tree has been made possible by SNP testing by both academic organizations and consumers. To understand the difference between regular STR marker testing and SNP testing, click here. I’ve divided this article into two parts. The first part is the “what did they do and why” part and the second is the “what does it mean to you” portion. This tree update has been widely anticipated for some time now. We knew that Family Tree DNA was calibrating the tree in partnership with the Genographic project, but we didn’t know what else would be included until the tree was released. What Did Family Tree DNA Do, and Why? Janine Cloud, the liaison at Family Tree DNA for Project Administrators has provided some information as to the big picture. Janine interviewed Elliott Greenspan of Family Tree DNA about the new tree, and here are some of the salient points from that discussion. “This year we’re committing to launching another tree. This tree will be more comprehensive, utilizing data from external sources: known Sanger data, as well as data such as Big Y, and if we have direct access to the raw data to make the proof (from large companies, such as the Chromo2) or a publication, or something of that nature. That is our intention that it be added into the data. We’re definitely committed to update at least once per year. Our intention is to use data from other sources, as well as any SNPs we can, but it must be well-vetted. NGS and SNP technology inherently has errors. You must curate for those errors otherwise you’re just putting slop out to customers. There are some SNPs that may bind to the X chromosome that you didn’t know. There are some low coverages that you didn’t know. With technology such as this you’re able to overcome the urge to test only what you’re likely to be positive for, and instead use the shotgun method and test everything. This allows us to make the discovery that SNPs are not nearly as stable as we thought, and they have a larger potential use in that sense. Not only does the raw data need to be vetted but it needs to make sense. Using Geno 2.0, I only accepted samples that had the highest call rate, not just because it was the best quality but because it was the most data. I don’t want to be looking at data where I’m missing potential information A, or I may become confused by potential information B. That is something that will bog us down. When you’re looking at large data sets, I’d much rather throw out 20% of them because they’re going to take 90% of the time than to do my best to get 1 extra SNP on the tree or 1 extra branch modified, that is not worth all of our time and effort. What is, is figuring out what the broader scope of people are, because that is how you break down origins. Figuring one single branch for one group of three people is not truly interesting until it’s 50 people, because 50 people is a population. Three people may be a family unit. You have to have enough people to determine relevance. That’s why using large datasets and using complete datasets are very, very important. Thanks to both Janine and Elliott for providing this information. What is Provided in the Update? The genetic genealogy community was hopeful that the new 2014 tree would be comprehensive, meaning that it would include not only the Genographic SNPs, but ones from Walk the Y, perhaps some Chromo2, Full Genomes results and the Big Y. Perhaps we were being overly optimistic, especially given the huge influx of new SNPs, the SNP tsunami as we call it, over the past few months. Family Tree DNA clearly had to put a stake in the sand and draw the line someplace. So, what is actually included, how did they select the SNPs for the new tree and how does this integrate with the Genographic information? This information was provided by Family Tree DNA. 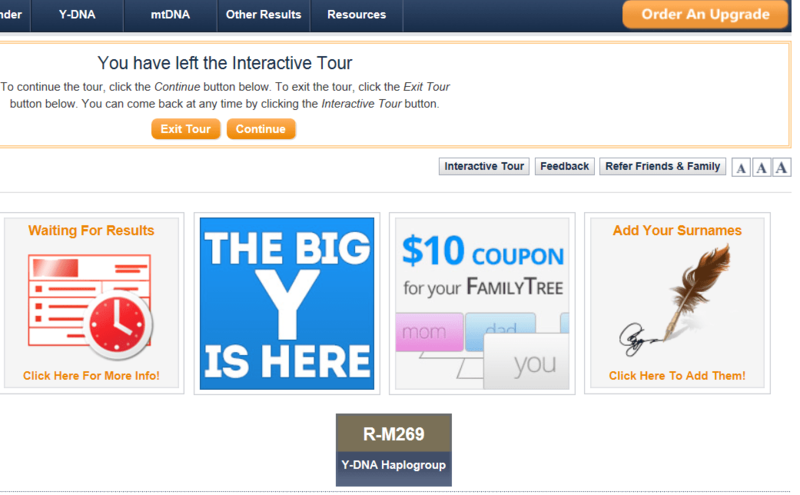 Family Tree DNA created the 2014 Y-DNA Haplotree in partnership with the National Geographic Genographic Project using the proprietary GenoChip. Launched publicly in late 2012, the chip tests approximately 10,000 Y-DNA SNPs that had not, at the time, been phylogenetically classified. In some cases, SNPs that were on the 2010 Y-DNA Haplotree didn’t work well on the GenoChip, so the team used Sanger sequencing on anonymous samples to test those SNPs and to confirm ambiguous locations. For example, if it wasn’t clear if a clade was a brother (parallel) clade, or a downstream clade, they tested for it. The scope of the project did not include going farther than SNPs currently on the GenoChip in order to base the tree on the most data available at the time, with the cutoff for inclusion being about November of 2013. Where data were clearly missing or underrepresented, the team curated additional data from the chip where it was available in later samples. For example, there were very few Haplogroup M samples in the original dataset of 50,000, so to ensure coverage, the team went through eligible Geno 2.0 samples submitted after November, 2013, to pull additional Haplogroup M data. That additional research was not necessary on, for example, the robust Haplogroup R dataset, for which they had a significant number of samples. Family Tree DNA, again in partnership with the Genographic Project, is committed to releasing at least one update to the tree this year. The next iteration will be more comprehensive, including data from external sources such as known Sanger data, Big Y testing, and publications. If the team gets direct access to raw data from other large companies’ tests, then that information will be included as well. We are also committed to at least one update per year in the future. Known SNPs will not intentionally be renamed. Their original names will be used since they represent the original discoverers of the SNP. If there are two names, one will be chosen to be displayed and the additional name will be available in the additional data, but the team is taking care not to make synonymous SNPs seems as if they are two separate SNPs. Some examples of that may exist initially, but as more SNPs are vetted, and as the team learns more, those examples will be removed. In addition, positions or markers within STRs, as they are discovered, or large insertion/deletion events inside homopolymers, potentially may also be curated from additional data because the event cannot accurately be proven. A homopolymer is a sequence of identical bases, such as AAAAAAAAA or TTTTTTTTT. In such cases it’s impossible to tell which of the bases the insertion is, or if/where one was deleted. With technology such as Next Generation Sequencing, trying to get SNPs in regions such as STRs or homopolymers doesn’t make sense because we’re discovering non-ambiguous SNPs that define the same branches, so we can use the non-ambiguous SNPs instead. Some SNPs from the 2010 tree have been intentionally removed. In some cases, those were SNPs for which the team never saw a positive result, so while it may be a legitimate SNP, even haplogroup defining, it was outside of the current scope of the tree. In other cases, the SNP was found in so many locations that it could cause the orientation of the tree to be drawn in more than one way. If the SNP could legitimately be positioned in more than one haplogroup, the team deemed that SNP to not be haplogroup defining, but rather a high polymorphic location. To that end, SNPs no longer have .1, .2, or .3 designations. For example, J-L147.1 is simply J-L147, and I-147.2 is simply I-147. 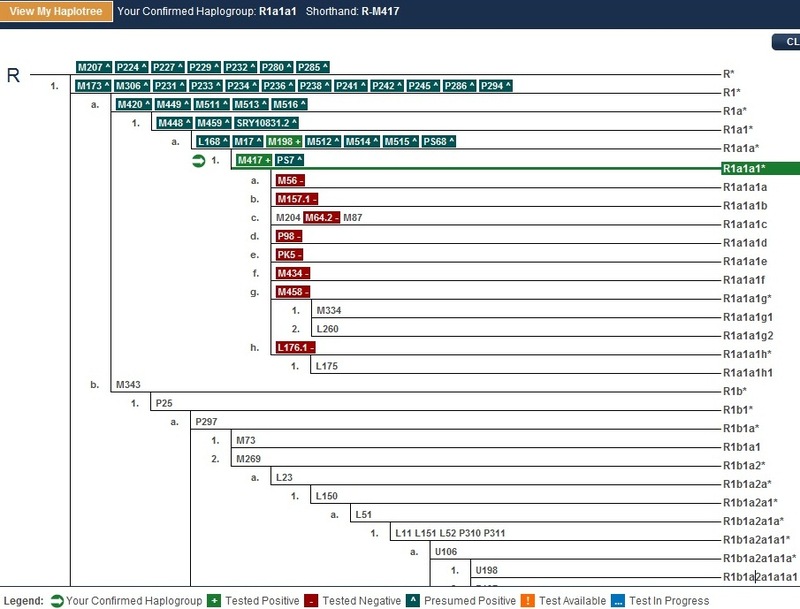 Those SNPs are positioned in the same place, but back-end programming will assign the appropriate haplogroup using other available information such as additional SNPs tested or haplogroup origins listed. If other SNPs have been tested and can unambiguously prove the location of the multi-locus SNP for the sample, then that data is used. If not, matching haplogroup origin information is used. We will also move to shorthand haplogroup designations exclusively. Since we’re committing to at least one iteration of the tree per year, using longhand that could change with each update would be too confusing. 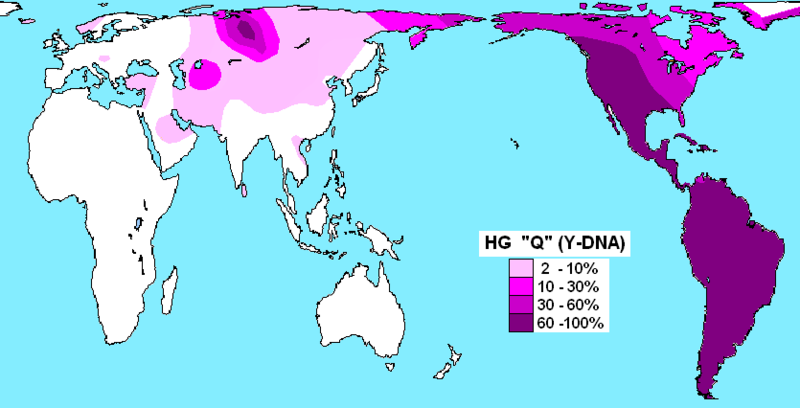 For example, Haplogroup O used to have three branches: O1, O2, and O3. A SNP was discovered that combined O1 and O2, so they became O1a and O1b. There are over 1200 branches on the 2014 Y Haplogroup tree, as compared to about 400 on the 2010 tree. Those branches contain over 6200 SNPs, so we’ve chosen to display select SNPs as “active” with an adjacent “More” button to show the synonymous SNPs if you choose. In addition to the Family Tree DNA updates, any sample tested with the Genographic Project’s Geno 2.0 DNA Ancestry Kit, then transferred to FTDNA will automatically be re-synched on the Geno side. The Genographic Project is currently integrating the new data into their system and will announce on their website when the process is complete in the coming weeks. At that time, all Geno 2.0 participants’ results will be updated accordingly and will be accessible via the Genographic Project website. Existing customers receive free update to predictions and confirmed branches based on existing SNP test results. No longer using SNP names with .1, .2, .3 suffixes. Back-end programming will place SNP in correct haplogroup using available data. SNPs recommended for additional testing are pre-populated in the cart for your convenience. Just click to remove those you don’t want to test. SNPs recommended for additional testing are based on 37-marker haplogroup origins data where possible, 25- or 12-marker data where 37 markers weren’t available. Once you’ve tested additional SNPs, that information will be used to automatically recommend additional SNPs for you if they’re available. If you remove those prepopulated SNPs from the cart, but want to re-add them, just refresh your page or close the page and return. Only one SNP per branch can be ordered at one time – synonymous SNPs can possibly ordered from the Advanced Orders section on the Upgrade Order page. Tests taken have moved to the bottom of the haplogroup page. Group Administrator Pages will have longhand removed. At least one update to the tree to be released this year. Update will include: data from Big Y, relevant publications, other companies’ tests from raw data. We’ll set up a system for those who have tested with other big data companies to contribute their raw data file to future versions of the tree. We’re committed to releasing at least one update per year. The Genographic Project is currently integrating the new data into their system and will announce on their website when the process is complete in the coming weeks. At that time, all Geno 2.0 participants’ results will be updated accordingly and accessible via the Genographic Project website. On your welcome page, your badges are listed. Your badge previously would have included the longhand form of the haplogroup, such as R1b1a2, but now it shows R-M269. Please note that badges are not yet showing on all participants pages. If yours aren’t yet showing, clicking on the Haplotree and SNP page under the YDNA option on the blue options bar where your more detailed information is shown, below. 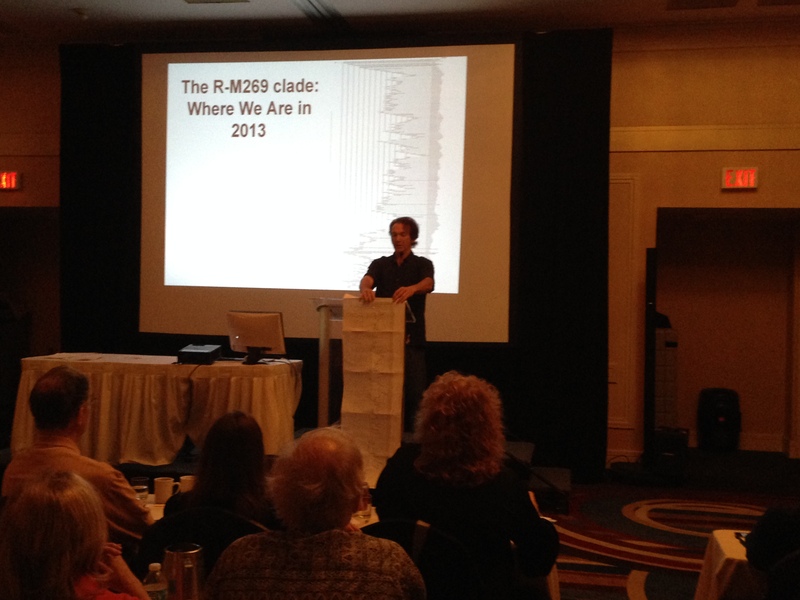 Your haplogroup is now noted only as the SNP designation, R-M269, not the older longhand names. Haplogroup R is a huge haplogroup, so you’ll need to scroll down to see your confirmed or predicted haplogroup, shown in green below. 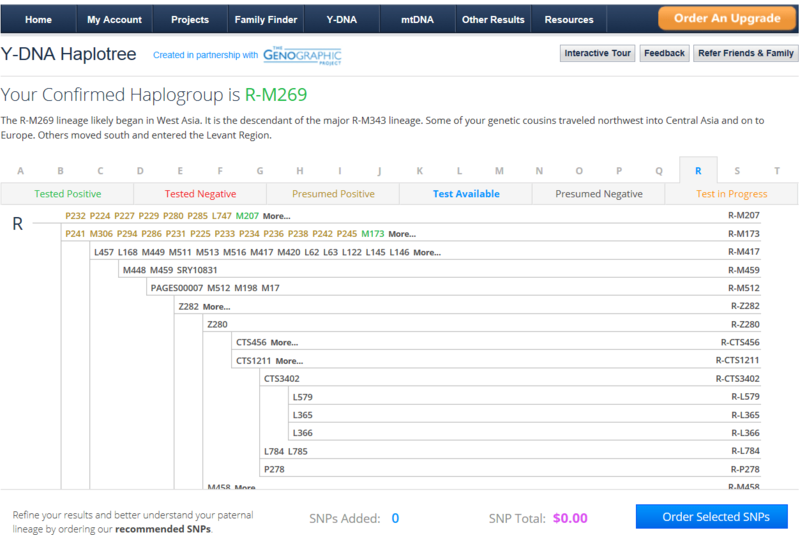 The redesigned haplotree page includes an option to order SNPs downstream of your confirmed or predicted haplogroup. This refines your haplogroup and helps isolate your branch on the tree. You may or may not want to do this. In some cases, this does help your genealogy, especially in cases where you’re dealing with haplogroup R. For the most part, haplogroups are more historical in nature. For example, they will help you determine whether your ancestors are Native American, African, Anglo Saxon or maybe Viking. Haplogroups help us reach back before the advent of surnames. 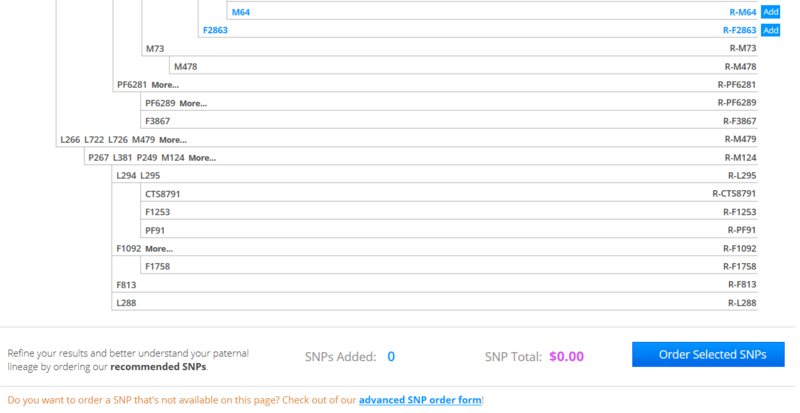 The new page shows which SNPs are available for you to order from the SNPs on the tree today, shown above, in blue to the right of the SNP branch. Not all known SNPs are on the tree. Like I said, a line in the sand had to be drawn. There are SNPs, many recently discovered, that are not on the tree. To put this in perspective, the new tree incorporates 6200 SNPs (up from 850), but the Big Y “pool” of known SNPs against which Family Tree DNA is comparing those results was 36,562 when the first results were initially released at the end of February. If you have taken advanced SNP testing, such as the Walk the Y, the Big Y, or tested individual SNPs, your terminal SNP may not be on the tree, which means that your terminal SNP shown on your page, such as R-M269 above, MAY NOT BE ACCURATE in light of that testing. Why? Because these newly discovered SNPs are not yet on the tree. This only affects people who have done advanced testing which means it does not affect most people. You can order relevant SNPs for your haplogroup on the tree by clicking on the “Add” button beside the SNP. You can order SNPs not on the tree by clicking on the “Advanced Order Form” link available at the bottom of the haplotree page. If you’re not sure of what you want to do, or why, you might want to touch bases with your project administrators. Depending on your testing goal, it might be much more advantageous, both scientifically and financially, for you to take either the Geno2 test or the Big Y. At this point, in light of some of the issues with the new release, I would suggest maybe holding tight for a bit in terms of ordering new SNPs unless you’re positive that your haplogroup is correct and that the SNP selection you want to order would actually be beneficial to you. This are some bugs in this massive update. You might want to check your haplogroup assignment to be sure it is reflected accurately based on any SNP testing you have had done, of course, excepting the very advanced tests mentioned above. If you discover something that is inaccurate or questionable, please notify Family Tree DNA. This is especially relevant for project administrators who are familiar with family groups and know that people who are in the same surname group should share a common base haplogroup, although some people who have taken further SNP testing will be shown with a downstream haplogroup, further down that particular branch of the tree. What kind of result might you find suspicious or questionable? For example, if in your surname project, your matching surname cousins are all listed at R-M269 and you were too previously, but now you’re suddenly in a different haplogroup, like E, there is clearly an error. Any suspected or confirmed errors should be reported to Family Tree DNA. 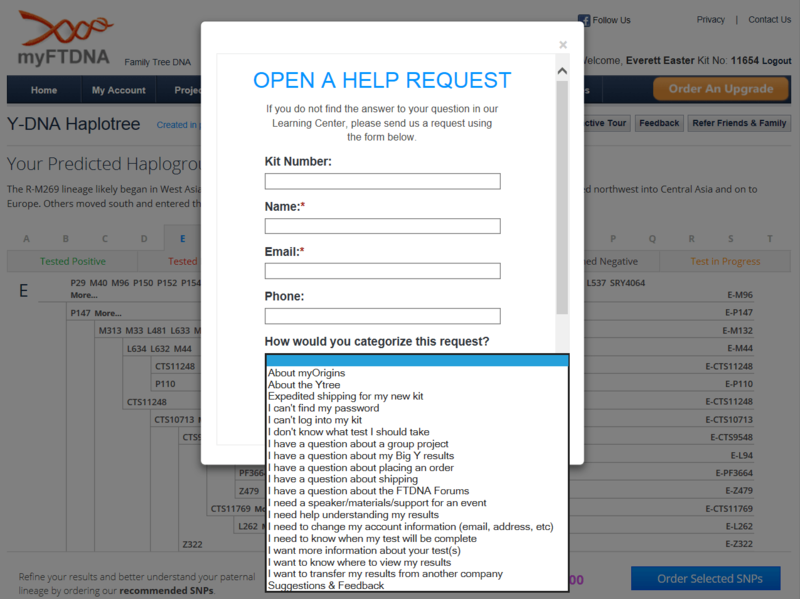 They have made it very easy by providing a “Feedback” button on the top of the page and there is a “Y tree” option in the dropdown box. For administrators providing reports that involve more than one participant, please send to Groups@familytreedna.com and include the kit numbers, the participants names and the nature of the issue. The Genographic Project is in the process of updating to the same tree so their results can be synchronized with the 2014 tree. A date for this has not yet been released. Family Tree DNA has committed to at least one more update this year. I know that this update was massive and required extensive reprogramming that affected almost every aspect of their webpage. If you think about it, nearly every page had to be updated from the main page to the order page. The tree is the backbone of everything. I want to thank the Family Tree DNA and Genograpic combined team for their efforts and Bennett Greenspan for making sure this did happen, just as he committed to do in November at the last conference. Like everyone else, I want everything NOW, not tomorrow. We’re all passionate about this hobby – although I think it is more of a life mission for many – and surpassed hobby status long ago. I know there are issues with the tree and they frustrate me, like everyone else. Those issues will be resolved. Family Tree DNA is actively working on reported issues and many have already been fixed. There is some amount of disappointment in the genetic genealogy community about the SNPs not included on the tree, especially the SNPs recently discovered in advanced tests like the Big Y. Other trees, like the ISOGG tree, do in fact reflect many of these newly discovered SNPs. There are a couple of major differences. First, ISOGG has an virtual army of volunteers who are focused on maintaining this tree. We are all very lucky that they do, and that Alice Fairhurst coordinates this effort and has done so now for many years. I would be lost without the ISOGG tree. However, when a change is made to the ISOGG tree, and there have been thousands of changes, adds and moves over the years, nothing else is affected. No one’s personal page, no one’s personal tree, no projects, no maps, no matches and no order pages. ISOGG has no “responsibility” to anyone – in other words – it’s widely known and accepted that they are a volunteer organization without clients. Family Tree DNA, on the other hand has half a million (or so) paying customers. Tree changes have a huge domino ripple effect there – not only on their customers’ personal pages, but to their entire website, projects, support and orders. A change at Family Tree DNA is much more significant than on the ISOGG page – not to mention – they don’t have the same army of volunteers and they have to rely on the raw science, not interpretation, as they said in the information they provided. A tree update at Family Tree DNA is a very different animal than updating a stand-alone tree, especially considering their collaboration with various scientific organizations, including the National Geographic Society. I commend Family Tree DNA for this update and thank them for the update and the educational materials. I’m also glad to see that they do indeed rely only on science, not interpretation. Frustrating to the genetic genealogist in me? Sure. But in the long run, it’s worth it to be sure the results are accurate. Could this release have been smoother and more accurate? Certainly. Hopefully this is the big speed bump and future releases will be much more graceful. It’s easy to see why there aren’t any other companies providing this type of comprehensive testing. It’s gone from an easy 12 marker “do we match” scenario to the forefront of pioneering population genetics. And all within a decade. It’s amazing that any company can keep up. I’m writing this to provide an update about Native American paternal research, and to ask for your help and support, but first, let me tell you why. It’s a very exciting time. If you don’t want the details, but you know you want to help now….and we have to pay for these tests by the end of the day December 1 to take advantage of the sale price…you can click below to help fund the Big Y testing for Native American haplogroups Q and C. Both projects need approximately $990. Everything contributed goes directly to testing. As many of you know, haplogroup Q and C are the two Native American male haplogroups. To date, every individual with direct paternal Native American ancestors descends from a subgroup of either haplogroup Q or C, Q being by far the most prevalent. 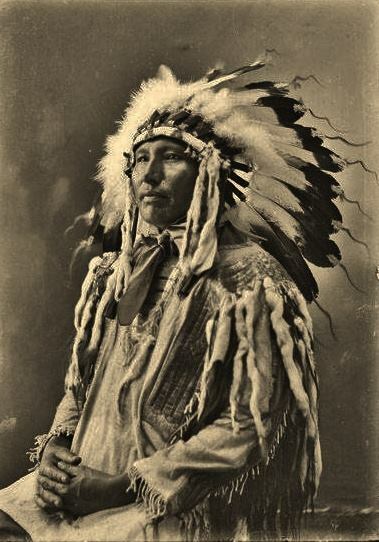 Both of these haplogroups are also found to some extent in Asia and Europe, but there are distinct and specific lineages found in the Americas that represent only Native Americans. These subgroups are not found in either Europe or Asia. In December, 2010, we found the first SNP (single nucleotide polymorphism) marker that separated the European and the Native American subclades of haplogroup Q. Since that time, additional markers have been found through the Walk the Y program and other research. How did this happen? A collaborative research approach between individual testers and project administrators. In this case, Lenny Trujillo was a member of the haplogroup Q project and he agreed to take the WTY (Walk the Y) test, which indeed, discovered a very unique SNP marker that defines Native American haplogroup Q, as opposed to European haplogroup Q. Much has changed in three years. The WTY test which was focused solely on research is entirely obsolete, being replaced by a new much more powerful test called the Big Y, and at a reduced cost. The Big Y sequences a much larger portion of the Y chromosome, which will allow us to discover even more markers. Why is this important? Because today, in haplogroups Q and C, we are learning through standard STR (short tandem repeat) surname marker tests who is related to whom, and how distantly, but it’s not enough. For example, we have a group of haplogroup Q men in Canada who match each other, but then another group with a different SNP marker that is located in the Southwest, Mexico, and then in the North Carolina/Virginia border area. Oh yes, and one more from Charleston, SC. Most Native American men who carry haplogroup C are found in Northeastern Canada….but then there is one in the Southwest. What do these people have in common? Is their relationship “old” or relative new? Do they perhaps share a common historical language group? We don’t know, and we’d like to. In order to do that, we need to further refine their genetic relationship. Hence, the new tool, the Big Y. The Big Y sequences almost all of the Y chromosome – over 10 million base pairs and nearly 25,000 known SNPs. But the good news is that the Big Y, like its predecessor, the WTY, has the ability to find new SNPs. And they are being found by the buckets – so fast that the haplogroup trees can’t even keep up. For example, the haplogroup project page still lists most Native people as Q1a3a, but in reality many new SNPs have been discovered. The official haplogroup tree is still under construction, but you can see an updated version on the front page of the haplogroup Q project. That’s the good news – that the Big Y represents a huge research opportunity for us to make major discoveries that may well divide the Native groups in the Haplogroup C and Q projects into either language groups, or maybe, if we are lucky, into tribal “confederacies,” for lack of a better word. I hate to use the word tribes, because the definition of a tribe has changed so much. What we would like to be able to do it to tell someone from their test results that they are Iroquoian, for example, or Athabascan, or Siouian. This has been our overarching goal for years, and now we’re actually getting close. That potential rests with the Big Y. The bad news is that the test costs $495, and that’s the sale price good only through Dec. 1., and we need funding. In the haplogroup Q project, we do have a few people who are testing. Everyone who did the WTY has been sent a $50 coupon to apply towards the Big Y test. I hope everyone who did do the WTY will indeed order the Big Y as well. If not, then the coupon can be donated to us, as project administrators, to apply towards the Big Y test of someone else in the group who is testing. If you’re not going to test, please donate your coupon. In haplogroup Q, we have two additional men who we desperately want to take the Big Y test, and 2 in haplogroup C as well. We’re asking for two things. First, for unused $50 coupons and second, for contributions against the $495 price. We’d certainly welcome large contributions, or a sponsor for an entire test, but we’d also welcome $5, $10, $25 or whatever you’d like to contribute. Every little bit helps. Thank you everyone, in advance, for your help. We can’t do this without you. This is what collaborative citizen science is all about. Of course, we’ll report findings as we receive them and can process the information. The International Society of Genetic Genealogy always meets at 8 AM on Sunday morning. I personally think that 8AM meeting should be illegal, but then I generally work till 2 or 3 AM (it’s 1:51 AM now), so 8 is the middle of my night. Katherine Borges, the Director speaks about current and future activities, and Alice Fairhurst spoke about the many updates to the Y tree that have happened and those coming as well. It has been a huge challenge to her group to keep things even remotely current and they deserve a huge round of virtual applause from all of us for the Y tree and their efforts. Bennett opened the second day after the ISOGG meeting. “The fact that you are here is a testament to citizen science” and that we are pushing or sometimes pulling academia along to where we are. Bennett told the story of the beginning of Family Tree DNA. “Fourteen years ago when the hair that I have wasn’t grey,” he began, “I was unemployed and tried to reorganize my wife’s kitchen and she sent me away to do genealogy.” Smart woman, and thankfully for us, he went. But he had a roadblock. He felt there was a possibility that he could use the Y chromosome to solve the roadblock. Bennett called the author of one of the two papers published at that time, Michael Hammer. He called Michael Hammer on Sunday morning at his home, but Michael was running out the door to the airport. He declined Bennett’s request, told him that’s not what universities do, and that he didn’t know of anyplace a Y test could be commercially be done. Bennett, having run out of persuasive arguments, started mumbling about “us little people providing money for universities.” Michael said to him, “Someone should start a company to do that because I get phone calls from crazy genealogists like you all the time.” Let’s just say Bennett was no longer unemployed and the rest, as they say, is history. With that, Bennett introduced one of our favorite speakers, Dr. Michael Hammer from the Hammer Lab at the University of Arizona. Michael has been at all of the conferences. He says he doesn’t think we’re crazy. I personally think we’ve confirmed it for him, several times over, so he KNOWS we’re crazy. But it obviously has rubbed off on him, because today, he had a real shocker for us. I want to preface this by saying that I was frantically taking notes and photos, and I may have missed something. He will have his slides posted and they will be available through a link on the GAP page at FTDNA by the end of the week, according to Elliott. Michael started by saying that he is really exciting opportunity to begin breaking family groups up with SNPs which are coming faster than we can type them. Michael rolled out the Y tree for R and the new tree looks like a vellum scroll. 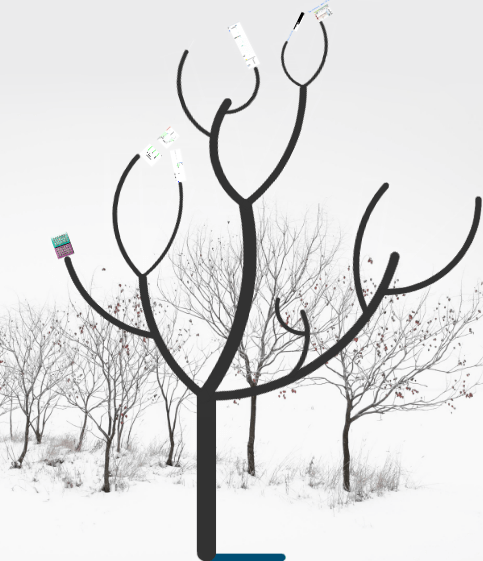 Today, he is going to focus on the basic branches of the Y tree because the history of R is held there. The first anatomically modern humans migrated from Africa about 45,000 years ago. After last glacial maximum 17,000 years ago, there was a significant expansion into Europe. Neolithic farmers arrived from the near east beginning 10,000 years ago. Farmers had an advantage over hunter gatherers in terms of population density. People moved into Northwestern Europe about 5,000 years ago. What did the various expansions contribute to the population today? Previous studies indicate that haplogroup R has a Paleolithic origin, but 2 recent studies agree that this haplogroup has a more recent origin in Europe – the Neolithic but disagree about the timing of the expansion. The first study, Joblin’s study in 2010, argued that geographic diversity is explained by single Near East source via Anaotolia. It conclude that the Y of Mesololithic hunger-gatherers were nearly replaced by those of incoming farmers. In the most recent study by Busby in 2012 is the largest study and concludes that there is no diversity in the mapping of R SNP markers so they could not date lineage and expansion. They did find that most basic structure of R tree did come from the near east. They looked at P311 as marker for expansion into Europe, wherever it was. Here is a summary page of Neolithic Europe that includes these studies. Hammer says that in his opinion, he thought that if P311 is so frequent and widespread in Europe it must have been there a long time. However, it appears that he and most everyone else, was wrong. The hypothesis to be tested is if P311 originated prior to the Neolithic wave, it would predict higher diversity it the near east, closer to the origins of agriculture. If P311 originated after the expansion, would be able to see it migrate across Europe and it would have had to replace an existing population. Because we now have sequences the DNA of about 40 ancient DNA specimens, Michael turned to the ancient DNA literature. There were 4 primary locations with skeletal remains. There were caves in France, Spain, Germany and then there’s Otzi, found in the Alps. All of these remains are between 6000-7000 years old, so prior to the agricultural expansion into Europe. In France, the study of 22 remains produced, 20 that were G2a and 2 that were I2a. In Spain, 5 G2a and 1 E1b. In Germany, 1I G2a and 2 F*. There was absolutely 0, no, haplogroup R of any flavor. In modern samples, of 172 samples, 94 are R1b. To evaluate this, he is dropping back to the backbone of haplogroup R.
This evidence supports a recent spread of haplogroup R lineages in western Europe about 5K years ago. This also supports evidence that P311 moved into Europe after the Neolithic agricultural transition and nearly displaced the previously existing western European Neolithic Y, which appears to be G2a. 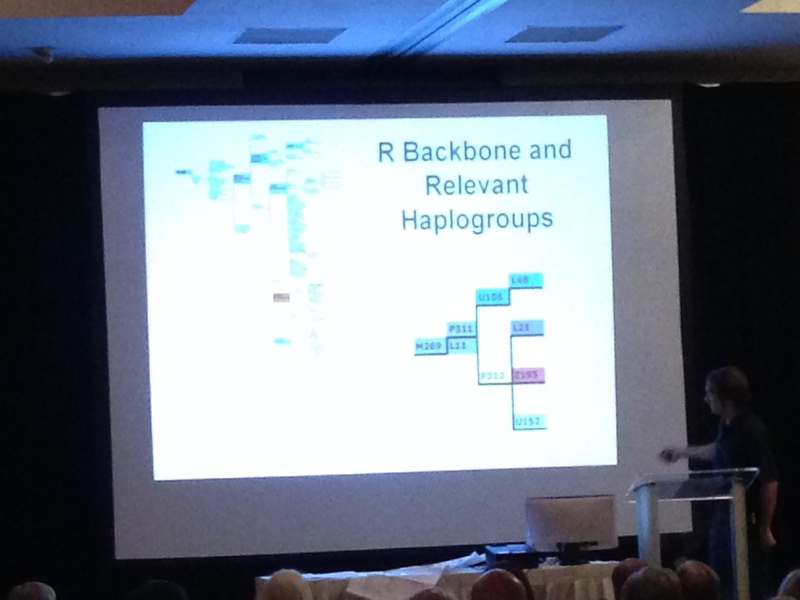 Dr. Hammer then grouped the major subgroups of haplogroup R-P3111 and found the following clusters. This suggests multiple centers of re-expansion for subgroups of haplogroup R, a stepwise process leading to different pockets of subhaplogroup density. Archaeological studies produce patterns similar to the hap epicenters. What kind of model is going on for this expansion? Ancestral origin of haplogroup R is in the near east, with U106, P312 and L21 which are then found in 3 European locations. This research also suggests thatG2a is the Neolithic version of R1b – it was the most commonly found haplogroup before the R invasion. 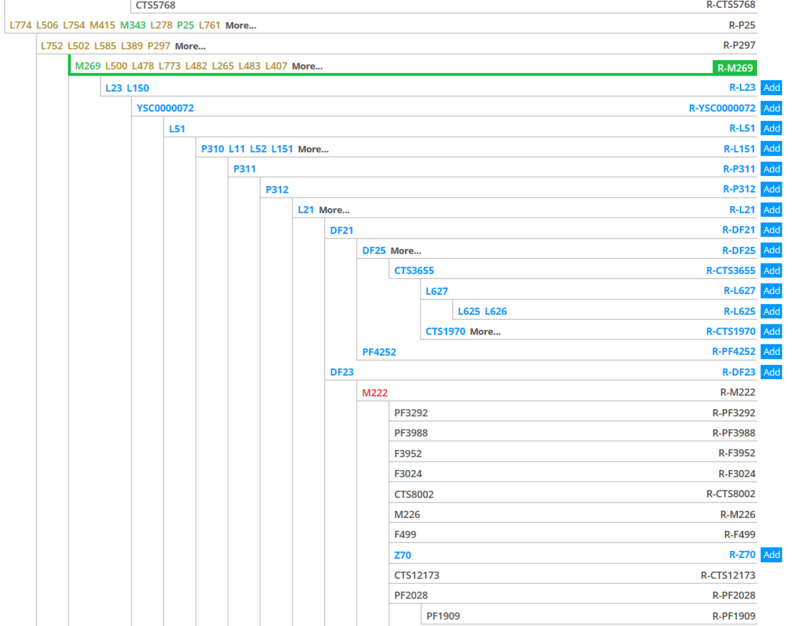 To make things even more interesting, the base tree that includes R has also been shifted, dramatically. Haplogroup K has been significantly revised and is the parent of haplogroups P, R and Q. It has been broken into 4 major branches from several individual lineages – widely shifted clades. Haps R and Q are the only groups that are not restricted to Oceana and Southeast Asia. 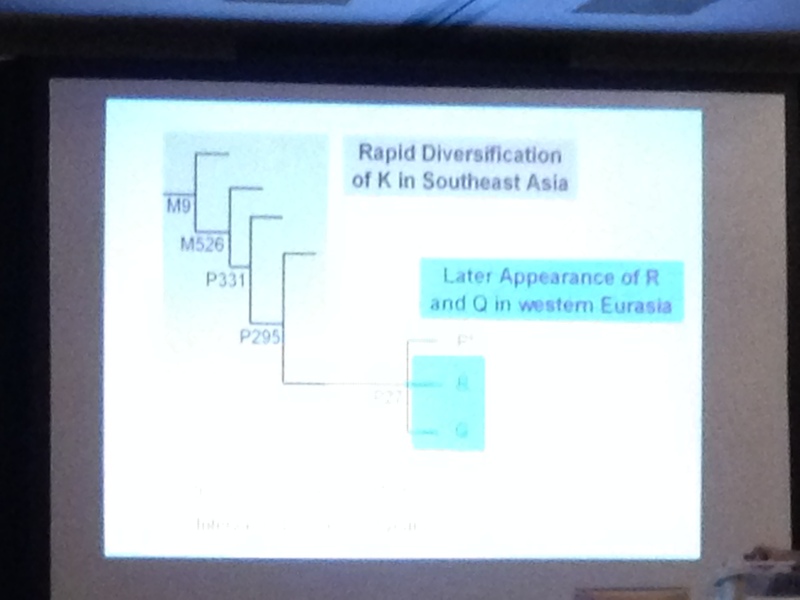 Rapid splitting of lineages in Southeast Asia to P, R and Q, the last two of which then appear in western Europe. R then, populated Europe in the last 4000 years. How did these Asians get to Europe and why? Asian R1b overtook Neolithic G2a about 4000 years ago in Europe which means that R1b, after migrating from Africa, went to Asia as haplogroup K and then divided into P, Q and R before R and Q returned westward and entered Europe. If you are shaking your head right about now and saying “huh?”…so were we. 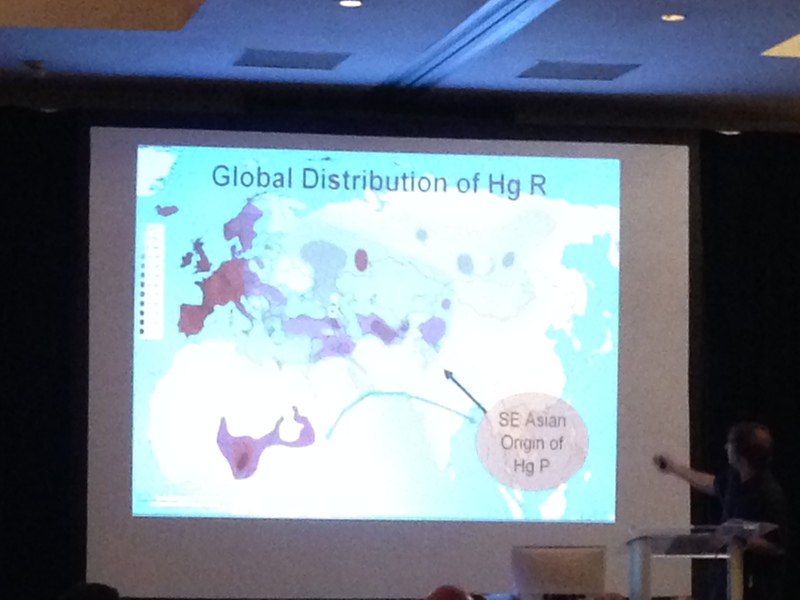 Here is Dr. Hammer’s revised map of haplogroup dispersion. Moving away from the base tree and looking at more recent SNPs, Dr. Hammer started talking about some of the findings from the advanced SNP testing done through the Nat Geo project and some of what it looks like and what it is telling us. For example, the R1bs of the British Isles. There are many clades under L 21. For example, there is something going on in Scotland with one particular SNP (CTS11722?) as it comprises one third of the population in Scotland, but very rare in Ireland, England and Wales. New Geno 2.0 SNP data is being utilized to learn more about these downstream SNPs and what they had to say about the populations in certain geographies. For example, there are 32 new SNPs under M222 which will help at a genealogical level. These SNPs must have arisen in the past couple thousand years. Michael wants to work with people who have significant numbers of individuals who can’t be broken out with STRs any further and would like to test the group to break down further with SNPs. The Big Y is one option but so is Nat Geo and traditional SNP testing, depending on the circumstance. G2a is currently 4-5% of the population in Europe today and R is more than 40%. 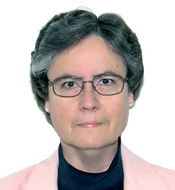 Dr. Pirttivaara has her PhD in Physics and is passionate about genetic genealogy, history and maps. She is an administrator for DNA projects related to Finland and haplogroup N1c1, found in Finland, of course. Finland has the population of Minnesota and is the size of New Mexico. There are 3750 Finland project members and of them 614 are haplogroup N1c1. Combining the N1c1 and the Uralic map, we find a correlation between the distribution of the two. Turku, the old capital, was full or foreigners, in Medieval times which is today reflected in the far reaching DNA matches to Finnish people. Some of the interest in Finland’s DNA comes from migration which occurred to the United States. Marja has done an excellent job of motivating her project members. They are very active within the project but also on Facebook, comparing notes, posting historical information and more. Jason is the Chief Technology Officer at Family Tree DNA and recently joined with the Arpeggi merger and has a MS in Computer Engineering. Regarding the Gene by Gene/FTDNA partnership, “The sum of the parts is greater than the whole.” He notes that they have added people since last year in addition to the Arpeggi acquisition. Jason introduced Elliott Greenspan, who, to most of us, needed no introduction at all. Elliott began manually scoring mitochondrial DNA tests at age 15. He joined FTDNA in 2006 officially. 4 times the data processed in the past year. Uploads run 10 times faster. With 23andMe and Ancestry autosomal uploads, processing will start in about 5 minutes, and matches will start then. FTDNA reinvented Family Finder with the goal of making the user experience easier and more modern. They added photos, profiles and the new comparison bars along with an advanced section and added push to chromosome browser. Focus on users uploading the family tree. Tools don’t matter if the data isn’t there. In order to utilize the genealogy aspect, the genealogy info needs to be there. Will be enhancing the GEDCOM viewer. New GEDCOMs replace old GEDCOMs so as you update yours, upload it again. They are now adding a SNP request form so that you can request a SNP not currently available. This is not to be confused with ordering an existing SNP. They currently utilize build 14 for mitochondrial DNA. They are skipping build 15 entirely and moving forward with 16. They added steps to the full sequence matches so that you can see your step-wise mutations and decide whether and if you are related in a genealogical timeframe. New Y tree will be released shortly as a result of the Geno 2.0 testing. Some of the SNPs have mutated as much as 7 times, and what does that mean in terms of the tree and in terms of genealogical usefulness. This tree has taken much longer to produce than they expected due to these types of issues which had to be revised individually. New 2014 tree has 6200 SNPS and 1000 branches. If a single sample comes back as positive for a SNP, they will put it on the tree and will constantly update this. If 3 or 4 people have the same SNP that are not related it will go directly to the tree. This is the reason for the new SNP request form. Part of the reason that the tree has taken so long is that not every SNP is public and it has been a huge problem. When they find a new SNP, where does it go on the tree? When one SNP is found or a SNP fails, they have run over 6000 individual SNPs on Nat Geo samples to vet to verify the accuracy of the placement. For example, if a new SNP is found in a particular location, or one is found not to be equivalent that was believe to be so previously, they will then test other samples to see where the SNP actually belongs. Matching differential is huge in early testing. One child may inherit as little as 20% of the X and another 90%. Some first cousins carry none. X matching will be an advanced feature and will have their own chromosome browser. End of the year – January 1. Happy New Year!!! It’s definitely in need of an upgrade and have assigned one person full time to this product. There are a few contention points that can be explained through standard history. It’s going to get a new look as well and will be easily upgradeable in the future. They cannot utilize the National Geographic data because it’s private to Nat Geo. The Gene by Gene lab, which of course processes all of the FTDNA samples is now a regulated lab which allows them to offer certain regulated medical tests. Between these various accreditations, they are inspected and accredited once yearly. Working to decrease turn-around time. SNP request pipeline is an online form and is in place to request a new SNP be added to their testing menu. Raised the bar for all of their tests even though genetic genealogy isn’t medical testing because it’s good for customers and increases quality and throughput. New customer support software and new procedures to triage customer requests. Implement new scoring software that can score twice as many tests in half the time. This decreases turn-around time to the customer as well. New projects include improved method of mtDNA analysis, new lab techniques and equipment and there are also new products in development. Ancient DNA (meaning DNA from deceased people) is being considered as an offering if there is enough demand. Maurice Gleeson coordinated a world class genealogy event in Dublin, Ireland Oct. 18-20, 2013. Family Tree DNA and ISOGG volunteers attended to educate attendees about genetic genealogy and DNA. 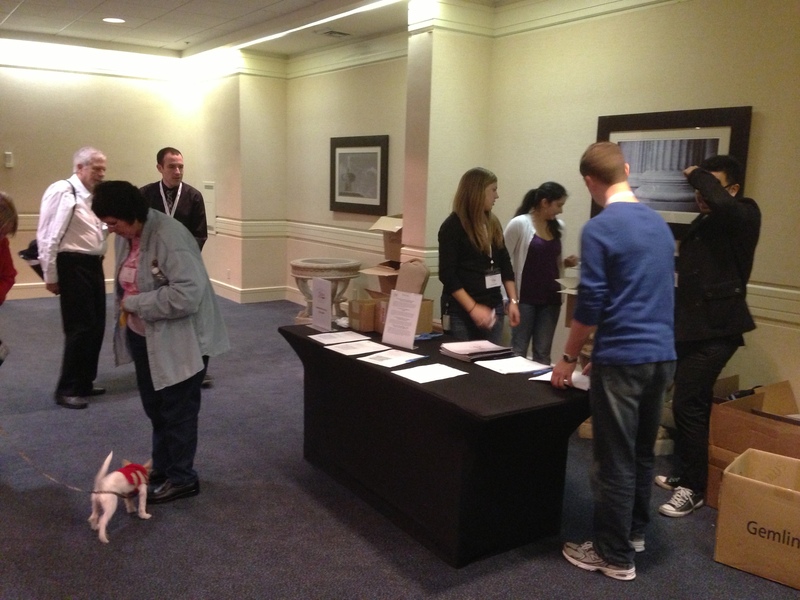 It was a great success and the DNA kits from the conference were checked in last week and are in process now. Hopefully this will help people with Irish ancestry. 12% of the Americans have Irish ancestry, but a show of hands here was nearly 100% – so maybe Irish descendants carry the crazy genealogist gene! 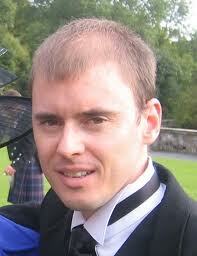 They developed a website titled Genetic Genealogy Ireland 2013. Their target audience was twofold, genetic genealogy in general and also the Irish people. They posted things periodically to keep people interested. They also created a Facebook page. They announced free (sponsored) DNA tests and the traffic increased a great deal. 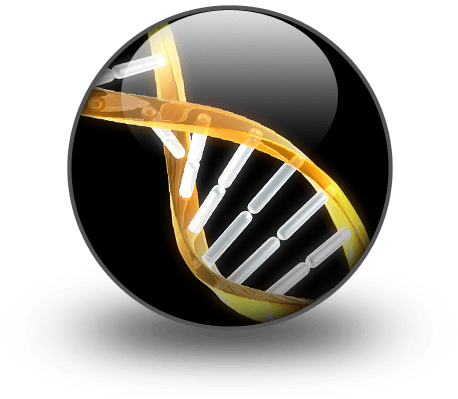 Today ISOGG has a free DNA wiki page too. They also had a prize draw sponsored by the Ireland DNA and mtdna projects. Maurice said that the sessions and the booth proximity were quite symbiotic because when y ou came out of the DNA session, the booth was right there. They passed out a lot of educational material the first two days. It appeared that the attendees were thinking about things and they came back the last day which is when half of the kits were sold, literally up until they threatened to turn the lights out on them. They have uploaded all of the lectures to a YouTube channel and they have had over 2000 views. Of all of the presentation, which looked to be a list of maybe 10-15, the autosomal DNA lecture has received 25% of the total hits for all of the videos. This is a wonderful resource, so be sure to watch these videos and publicize them in your projects. Brad Larkin is the FTDNA video link to the “how to appropriately” scrape for a DNA test. That’s his minute or two of fame! I knew he looked familiar. Conceived in 2012, the first article was published in January 2013. Three papers published to date. Encourage administrators to write and publish their research. This helps the publication withstand the test of time. Most other journals are not free, except for JOGG which is now inactive. Author fees typically are $1320 (PLOS) to $5000 (Nature) and some also have subscription or reader fees. Peer review is important. It is a critical review, a keen eye and an encouraging tone. This insures that the information is evidence based, correct and replicable. This roundtable was a much smaller group than yesterday’s Y DNA and SNP session, but much more productive for the attendees since we could give individual attention to each person. We discussed how to effectively use mtdna results and what they really mean. And you just never know what you’re going to discover. Marie was using one of her ancestors whose mtDNA was not the haplogroup expected and when she mentioned the name, I realized that Marie and I share yet another ancestral line. WooHoo!! FTDNA kits can now be tested for the Nat Geo test without having to submit a new sample. After the new Y tree is defined, FTDNA will offer another version of the Deep Clade test. Illumina chip, most of the time, does not cover STRs because it measures DNA in very small fragments. As they work with the Big Y chip, if the STRs are there, then they will be reported. 80% of FTDNA orders are from the US. Microalleles from the Houston lab are being added to results as produced, but they do not have the data from the older tests at the University of Arizona. Holiday sale starts now, runs through December 31 and includes a restaurant.com $100 gift card for anyone who purchases any test or combination of tests that includes Family Finder. That’s it folks. We took a few more photos with our friends and left looking forward to next year’s conference. Below, left to right in rear, Marja Pirttivaara, Marie Rundquist and David Pike. Front row, left to right, me and Bennett Greenspan. The genetic genealogy community has been abuzz for months now with the discovery of the new Root of the Y tree. 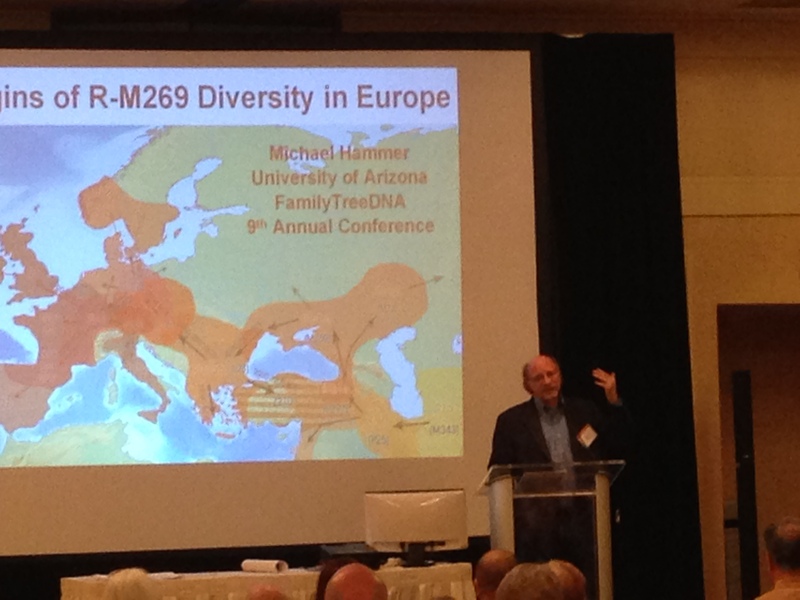 First announced last fall at the conference for DNA administrators hosted by Family Tree DNA, this discovery has literally changed the landscape of early genetic genealogy and our understanding of the timeframe of the origins of mankind. While it doesn’t make much difference in genetic genealogy in the past few generations, since the adoption of surnames, it certainly makes a difference to all of us in terms of our ancestors and where we came from – our origins. After all, the only difference between current genetic genealogy and the journey of mankind is a matter of generations – and all of our ancestors were there, and survived to reproduce, or we wouldn’t be here. One of the important aspects of this discovery is the collaboration of citizen scientists with academic institutions and corporations. In this case, the citizen scientist was Bonnie Schrack, a volunteer haplogroup project administrator, Dr. Michael Hammer of the University of Arizona, National Geographic’s Genographic Project, and Drs. Thomas Krahn and Astrid Krahn, both with the Gene by Gene Genomics Research Center. Without any one of these players, and Family Tree DNA’s support of projects, this discovery would not have been made. This discovery of the “new root” legitimizes citizen science in the field of genetic genealogy and ushers in a new day in scientific research in which crowd sourced samples, in this case, through Family Tree DNA projects, provide clues and resources for important scientific discoveries. Today Gene by Gene released a press release about the discovery of the new root. In conjunction, Family Tree DNA has lowered their Y DNA test price to $39 for the introductory 12 marker panel for the month of March, hoping to attract new participants and to eliminate price as a factor. On April 1, the price will increase to $49, still a 50% discount from the previous $99. Who knows where that next discovery lies. Could it be in your DNA? HOUSTON, March 26, 2013 /PRNewswire/ — Gene By Gene, Ltd., the Houston-based genomics and genetics testing company, announced that a unique DNA sample submitted via National Geographic’s Genographic Project to its genetic genealogy subsidiary, Family Tree DNA, led to the discovery that the most recent common ancestor for the Y chromosome lineage tree is potentially as old as 338,000 years. This new information indicates that the last common ancestor of all modern Y chromosomes is 70 percent older than previously thought. The surprising findings were published in the report “An African American Paternal Lineage Adds an Extremely Ancient Root to the Human Y Chromosome Phylogenetic Tree” in The American Journal of Human Genetics earlier this month. The study was conducted by a team of top research scientists, including lead scientist Dr. Michael F. Hammer of the University of Arizona, who currently serves on Gene By Gene’s advisory board, and two of the company’s staff scientists, Drs.Thomas and Astrid-Maria Krahn. The DNA sample had originally been submitted to National Geographic’s Genographic Project, the world’s largest “citizen science” genetic research effort with more than 500,000 public participants to date, and was later transferred to Family Tree DNA’s database for genealogical research. 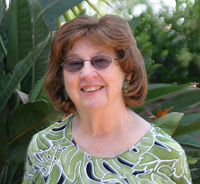 Once in Family Tree DNA’s database, long-time project administrator Bonnie Schrack noticed that the sample was very unique and advocated for further testing to be done. The discovery took place at Family Tree DNA’s Genomic Research Center, a CLIA registered lab in Houston which has processed more than 5 million discrete DNA tests from more than 700,000 individuals and organizations, including participants in the Genographic Project. Drs. Thomas and Astrid-Maria Krahn of Family Tree DNA conducted the company’s Walk-Through-Y test on the sample and during the scoring process, quickly realized the unique nature of the sample, given the vast number of mutations. Following their initial findings, Dr. Hammer and others joined to conduct a formal study, sequencing ~240 kb of the chromosome sample to identify private, derived mutations on this lineage, which has been named A00. Family Tree DNA recently dramatically reduced the price of its basic Y-DNA test by approximately 50%. By offering the lowest-cost DNA test available on the market today, Gene By Gene and Family Tree DNA are working to eliminate cost as a barrier to individuals introducing themselves to personal genetic and genomic research. They hope that expanding the pool of DNA samples in their database will lead to future important scientific discoveries. Founded in 2000, Gene By Gene, Ltd. provides reliable DNA testing to a wide range of consumer and institutional customers through its four divisions focusing on ancestry, health, research and paternity. Gene By Gene provides DNA tests through its Family Tree DNA division, which pioneered the concept of direct-to-consumer testing in the field of genetic genealogy more than a decade ago. Gene by Gene is CLIA registered and through its clinical-health division DNA Traits offers regulated diagnostic tests. DNA DTC is the Research Use Only (RUO) division serving both direct-to-consumer and institutional clients worldwide. Gene By Gene offers AABB certified relationship tests through its paternity testing division, DNA Findings. The privately held company is headquartered in Houston, which is also home to its state-of-the-art Genomics Research Center. SOURCE Gene By Gene, Ltd.
Now that things have calmed down a bit from the whirlwind of the Family Tree DNA Conference, I’d like to write in a little more comprehensive and sane manner about the revelation that we have a new root on the human tree. 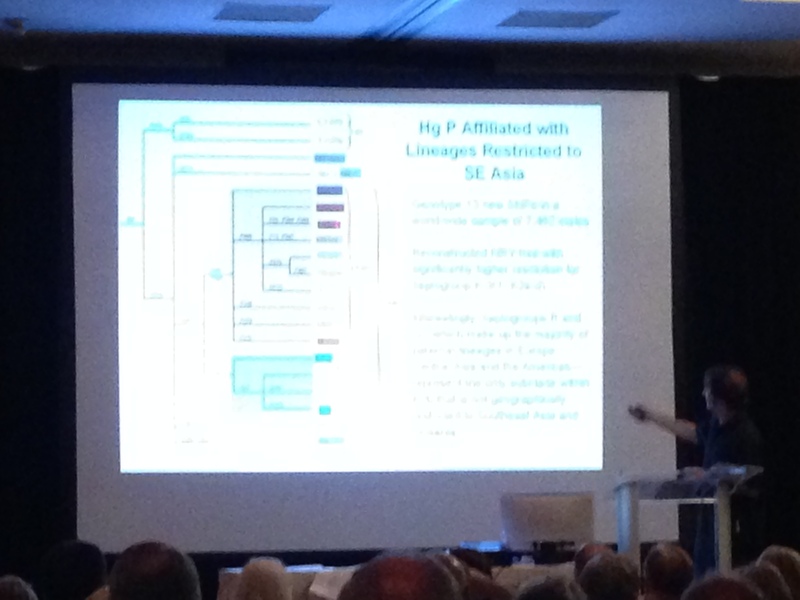 Bonnie has posted her slides from the presentation as well as her speaking notes on her new haplogroup A webpage. She contacted me with some corrections to my original Blog posting about that session at the conference as well as provided additional information. Thank you Bonnie, not just for this info, but for your work with haplogroup A that has been such a key part of this momentous discovery. This isn’t just a once-in-a-lifetime event, it’s a once-in-the-history-of-mankind event. Watch the haplogroup A website for more information from Bonnie about this exciting discovery and project. Understandably, Bonnie, Thomas and Michael are somewhat restricted in what they can say until such time as the resulting academic paper in the works is published. We all know that male humans arise from a person we call Y-line Adam, just like we call the first woman Mitochondrial Eve. Before a 2011 paper, it was believed that shortly after Adam, haplogroup A and B were formed about the same time and were brother haplogroups. 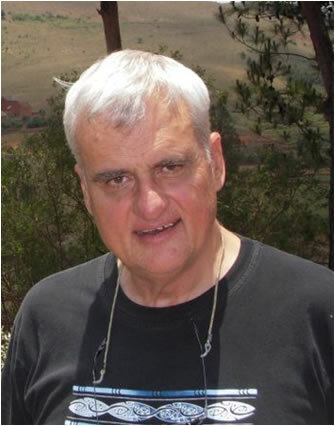 Fulvio Cruciani’s 2011 paper, “A Revised Root for the Human Y Chromosomal Phylogenetic Tree: The Origin of Patrilineal Diversity in Africa” reorganized that tree and showed that indeed, haplogroup A formed from the root of all humanity with B forming from haplogroup A.
Cruciani showed his newly organized tree with haplogroup A1b, A1a and then A2, A3 and BT as brother haplogroups. Cruciani did not use STR data, only SNP data in his study. A second recent study, also in 2011, “Signatures of the pre-agricultural peopling processes in sub-Saharan Africa as revealed by the phylogeography of early Y chromosome lineages” by Chiara Batini et al, did include some STR marker that matched some of the haplogroup A samples. Batini did not use SNP testing, so did not realize the potential of these STR samples. These did not match the new A00 root, but other rare haplogroup A samples in subgroups. Other STR matching samples can be found in the Sorenson data base at www.smgf.org. The 7 marker STR samples that did match the new A00 sample were from a private database at the Center for Genetic Anthropology who very graciously worked with Michael Hammer and provided small amounts of those samples for further analysis. Before the WTY program, this type of analysis simply wasn’t being done. This monumental discovery was a combination of citizen science, the haplogroup A project, an innovative scientific program, the WTY at Family Tree DNA, academic partnership, Michael Hammer’s lab at the University of Arizona and other institutions, along with that crucial public participation. Without the public participation aspect, the rest would be a moot point. Haplogroup A research at Family Tree DNA discovered not only one, but two new branches of haplogroup A, one of which was actually a new base root that needed to be inserted before, upstream of, the current root. The locations where these new branches/roots needed to be inserted required the renaming of the current branches, hence, the newly discovered branch A00 and Cruciani’s branch, formerly A1b, is now A0. Thomas Krahn’s A00 discovery presentation slides are also available online. You can tell he’s a scientist from the nature of his presentation. You can see the actual process of discovery, in essence, what he saw as this new root was unearthed. It’s fun to walk along with him, even if you don’t understand everything you see. As part of this process, Thomas also sequenced the DNA of a chimp and a gorilla. You can see the results at www.ysearch.org for the chimp at 6RCUU, the gorilla at 9ED3A and the new root, A00, at 6M5JA. You can breathe easy, humans are far distant from chimps and gorillas, but maybe closer to Neanderthals or other archaic humans than we thought. At the end of Thomas’s presentation, he included the image of a tree with a new root and lots of interesting branches. Zooming in on the branches, you can see all of the DNA sequencing paraphernalia, microplates, readouts and results. Maybe there is a little artist buried someplace in Thomas amid those scientific genes! This work was no small feat, and the significance is mind-boggling. This new discovery pushed the date of Y-Adam back a whopping 67% in one fell swoop. Cruciani’s birth age for haplogroup A1b was 140,000 years ago and A00, compared to Cruciani’s sample, falls at 237,000 years ago. Dr. Michael Hammer at the University of Arizona reanalyzed the haplogroup A tree and root with the new information available, and his new ages are even more amazing. Cruciani’s A1b/A0 sample is now at 200,000 years old and A00 is at 338,000, with a 98% confidence level. These dates pre-date all human fossils, although there are some archaic fossils that have been found and dated after this time in neighboring Nigeria. This new information provides us with glimpses through the keyhole of time into ancient human origins, and begs even more questions that will be answered in time, with more genetic and anthropology research. We all descend from this common root, and we may all be more closely related to archaic man that we knew. 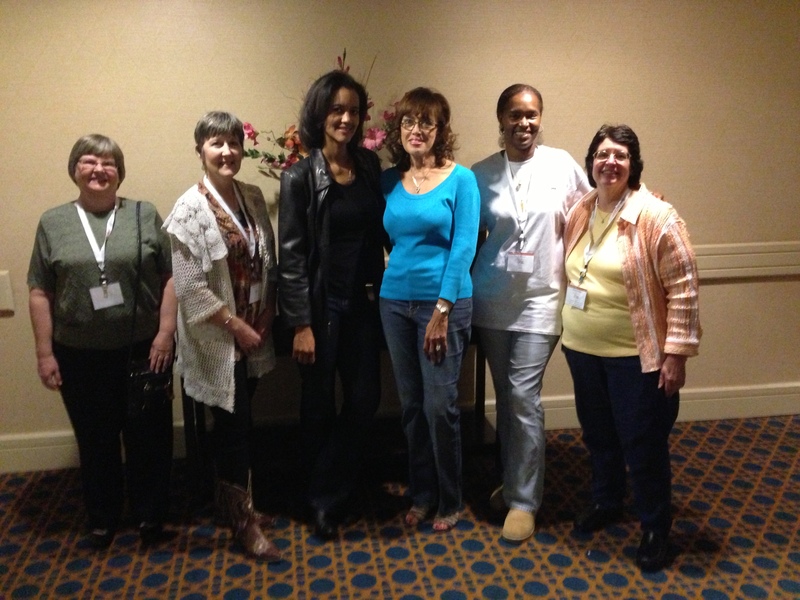 The A00 participant descends from a former slave family in South Carolina. The closest matches are found in western Cameroon near the Gulf of Guinea, a prime location in the slave trade. 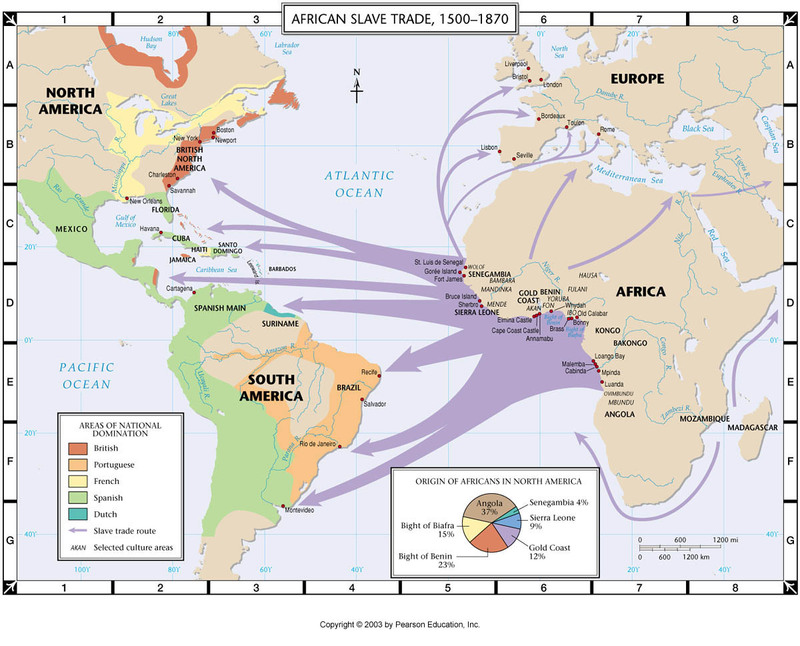 There appears to be about 500 years between the participant and the samples from Cameroon, an age that speaks to the beginning of the slave trade. Having worked closely with Lenny Trujillo, the man whose WTY sample provided us with haplogroup-changing and defining information for haplogroup Q, and understanding what a moving experience this journey has been for Lenny, I wondered about how the family involved with this revolutionary discovery must feel. As luck would have it, I have worked with this family in one of my projects as well, and they contacted me after seeing my blog about the conference. I asked how they felt, how they were reacting to this history-changing event in which their family was the keystone. I have extracted pieces from e-mails back and forth, and with the families permission, am sharing what they had to say. Clearly, without them and their active and supportive participation, this discovery would not have been made. We all owe them a debt of gratitude. “I have a B.S. in Mathematics. I love science and learning. I recently retired, but I spent a lot of that time working with research scientists on cutting edge technology and methods so it is very exciting to me to be a part of such a scientific discovery. My family would say I was the right one chosen. This is the family line I know the most about so I am glad it was this part of my family. I don’t yet have the formal results from Family Tree DNA concerning the Y-DNA sample they tested in the Walk Through the Y, I did know that the discovery was monumental from some preliminary results from Thomas. First things first! 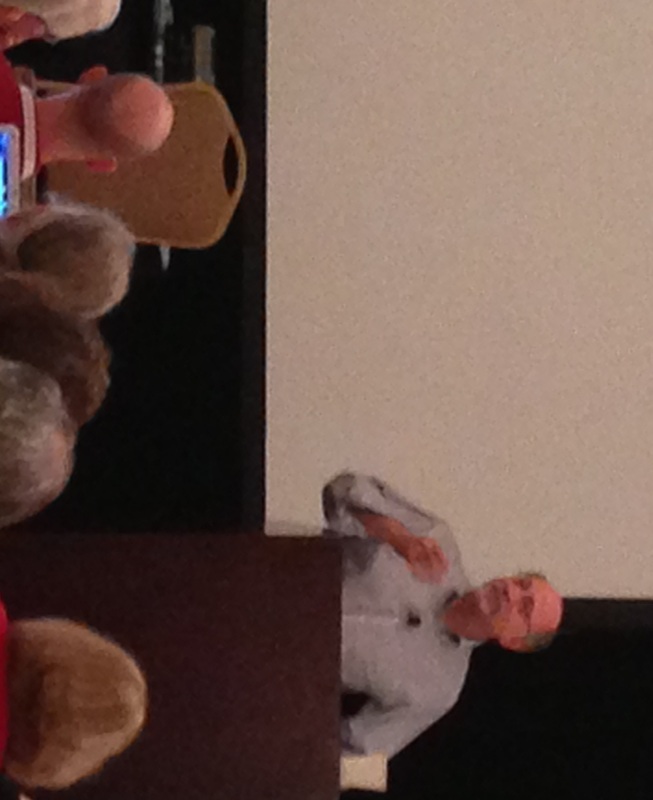 I want to thank Max and Bennett for graciously hosting the 8th Annual Genetic Genealogy Conference in Houston, Texas! This is actually the 9th year, but a pesky hurricane interfered one year. Max and Bennett are very generous with their time and resources and heavily subsidize this conference for us. We’re registering in the photo above. This was ever so true this weekend. Even my husband (who is not genetic genealogy crazy) realized this. I’m not sure everyone at the conference did, or realized the magnitude of what they were hearing, as we did have a lot of newbies. Newbies are a good thing. It means our obsessive hobby and this industry have staying power and there will be people to pass the torch to someday. I’ve already covered the Native American focus meeting in an earlier blog. For those of you who want the nitty gritty play by play as it happened at the conference, go to www.twitter.com and search for hashtag #ftdna2012. If you want some help with Twitter, I blogged about that too. Twitter is far from perfect, but it is near-realtime as things are happening. As always, Family Tree DNA hosts a reception on Friday evening. This helps break the ice and allows people to put faces with names. So many of us “know” each other by our e-mail name and online presence alone. We had a special guest this year too, Nina, a little puppy who was rescued by Rebekah Canada just a few days before the conference. Nina behaved amazingly well and many of us enjoyed her company. Bennett opened the conference this year, and in the Clint Eastwood political tradition, spoke to his companion, the chair named Max. The real Max, it turns out, was losing his voice, but that didn’t prevent him from chatting with us and answering questions from time to time. While Bennett was very low key with this announcement, it was monumental. He indicated that the parent company of Family Tree DNA has reorganized a bit. It has changed its name to Gene by Gene and now has 4 divisions. You can check this out at www.genebygene.com. This isn’t the monumental part. The new division, DNADTC’s new products are the amazing parts. Through this new division, they are the first commercial company to offer a full genome sequence test. The price, only $5495. For somewhat less, $695, they are offering the exome, which are your 20,000 genes. Whoever though it would be a genetic genealogy company who would bring this to the public. Keep in mind that the human genome was only fully sequenced in 2003 at a cost of 3 billion dollars. The amazing part is that a full genome sequence cost about 3 million in 2007 and the price will continue to fall. While consumers will be able to order this, if they want, it comes with no tools, as it is focused at the research community who would be expected to have their own analytical tools. However, genetic genealogists being who and what they are, I don’t expect the research market will outweigh the consumer market for long, especially when the price threshold reaches about $1000. Bennett also said that he expects that National Geographic will, in 2013 sometime, decide to allow upgrades from Family Tree DNA clients for the Geno 2.0 product. This will allow those people who cannot obtain a new sample to participate as well. However, an unopened vial will be required. No promises as to when, and the decision is not his to make. The first session was Spencer Wells via Skype from Italy. 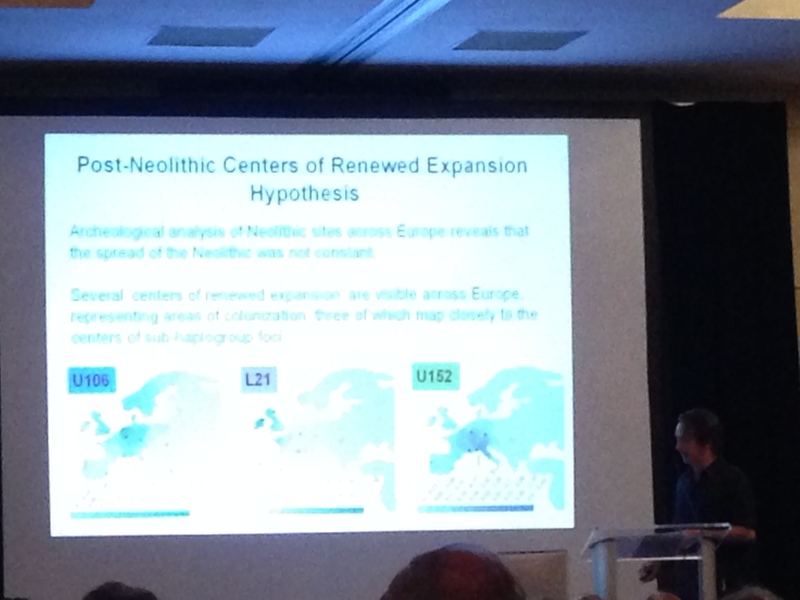 Spencer has just presented at two conferences within the week, one in San Francisco and one in Florence, Italy. Fortunately, he was able to work us into his schedule and he didn’t even sound tired. Of course, his topic was the Geno 2.0 test which is, of course, run on the new GenoChip. The first results are in the final stages of testing, so we should see them shortly. Sometime between the 19th and the end of the month. This product comes with all new migration maps. He showed one briefly, and I noticed that one of the two Native Y-lines are now showing different routes than before. One across Siberia, which hasn’t changed, and one up the pacific rim. Hmmm, can’t wait for that paper. The new maps all include heat maps which show frequency by color. The map below is a haplogroup Q heat map, but it is NOT from the Geno project. I’m only using it as an example. Spencer indicated that the sales of the 2.0 product rival those of the 1.0 product and that they have sold substantially more than 10K and substantially less than 100K kits so far. In total, they have sold more than 470,000 kits in over 130 countries. And that’s just the public participation part, not the indigenous samples. They have collected over 75,000 indigenous samples from more than 100 populations resulting in 36 publications to date with another half dozen submitted but not yet accepted. Academic publication is a very long process. Nat Geo has given 62 legacy grants to indigenous communities that have participated totaling more than 1.7 million dollars. That money comes in part from the public participation kits, meaning Geno 1.0 and now 2.0. Geno 2.0 continues to be a partnership between National Geographic and Family Tree DNA. Family Tree DNA is running all of their samples in the expanded Houston lab. Also added to the team is Dr. Eran Elhaik at Johns Hopkins University who has developed a new tool, AIMSFINDER, that locates never before identified Ancestral Informative Markers to identify population specific markers. This is extremely important because it allows us to read our DNA and determine if we carry the markers reflective of any specific population. Well, we don’t do the reading, they do with their sophisticated software. But we are the recipients with the new deep ancestral ethnicity results which are more focused on anthropology than genealogy. Spencer says that if you have 2% or more Native American, they can see it. They have used results from both public and private repositories in developing these tools. This type of processing power combined with a new protocol that tests all SNPS in a sequence, not just selected ones, promises to expand the tree exponentially and soon. 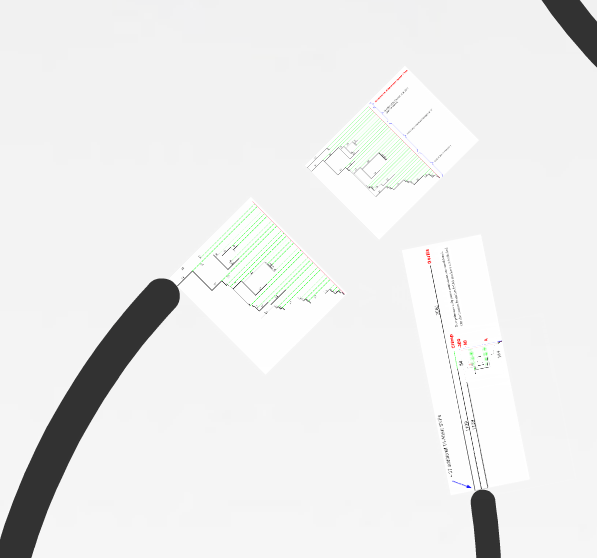 It has already been expanded 7 fold from 863 branches of the Y tree to 6153 and more have already been discovered that are not on the GenoChip, but will be in the next version. The National Geographic project will also be reaching out to administrators and groups who may have access to populations of interest. For example, an ex-pat group in an American city. Keep this in mind as you think of projects. Another piece of this pie is a new educational initiative in schools called Threads. 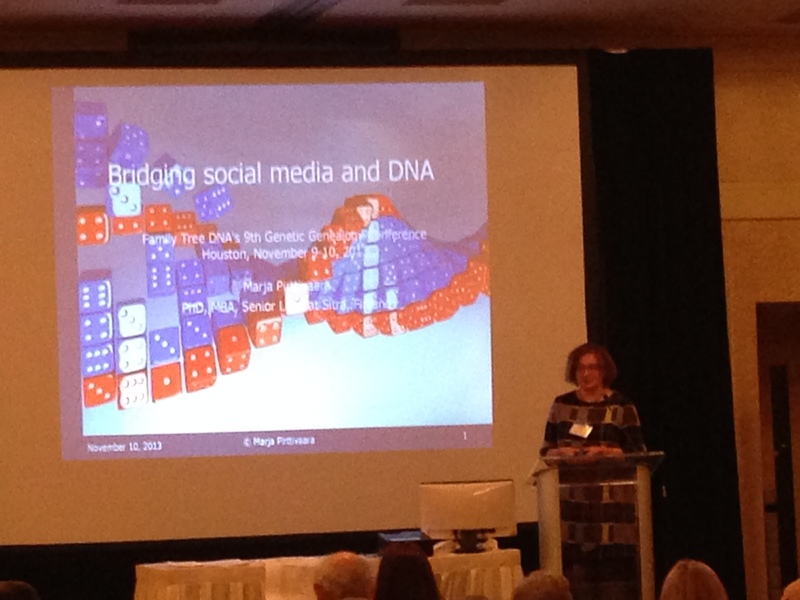 This isn’t all, by any means, on this topic, I really do encourage you to go and use Twitter hashtag #ftdna2012. Several of us were tweeting and the info was coming so fast and furious that no one could possibly get it all. The future with Nat Geo looks exceedingly bright. We have gone from the Barney Rubble age to the modern era and now there is promise for a rosy and as yet undiscovered future. Judy Russell was next. I have to tell you, when I saw where they positioned her, I was NOT envious. I mean, who wants to follow Spencer Wells, even if he’s not there in person. Well, if anyone was up to this, it certainly was Judy. 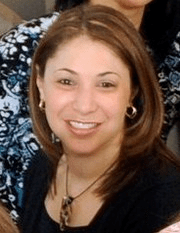 For those who don’t know, she blogs as The Legal Genealogist. “The exact function of these STR markers is not yet known and they have no known medical function but recent research shows they have some sort of regulatory function on the genes. While there is no medical information in these numbers, the absence of a certain few markers near a fertility gene could indicate sterility – something that would certainly already be known. Judy’s stressed that we not tell people that there is no medical information revealed. Partially, because we’ve discovered in rare cases that’s not true, and partially because we can’t see into the future. Judy talked about regulation and that while we fear what it might intentionally or inadvertently do to genetic genealogy, it’s important to have regulations to get rid of the snake oil salesman, and yes, there are a couple in genetic genealogy. They give us all a black eye and a bad name when people discover they’ve been hoodwinked. However, without regulation of some sort, we have no legal tools to deal with them. Regulation certainly seems to be a double-edged sword. I hope that Judy writes in her blog about what she covered in her session, because I think her message is important to all administrators and participants alike. And just to be clear, the sky is not falling and Judy is not Chicken Little. In fact, Judy is the most interesting attorney I have ever heard speak, and amazingly reasonable too. She actually makes you WANT to listen, so if you ever get the chance to see one of her webcasts or attend one of her sessions, take the opportunity. Following the break, breakout sessions began. CeCe Moore ran one about “Family Finder,” Elise Friedman about “Group Administration” and Thomas Krahn provided the “Walk the Y Update.” Bennett called this the propeller head session. Harumph Bennett. Guess you know which one I attended. All sessions were offered a second time on Sunday. Thomas said that they have once again upgraded their equipment, doubling their capacity again. This gives 4 times the coverage of the original Walk the Y, covering more than 5 million bases. To date, they have run 494 pre-qualified participants and of those, 198 did not find a new SNP. There are changes coming in how the palindromic region is scored which will change the matches shown. Palindromic mismatches will now be scored as one mutation event, not multiples. Microalleles will able be reported in the next rollout version, expected probably in January. The problem with microalleles is not the display, but the matching routine. Of importance, there has not been an individual WTY tested from haplogroups B, M, D or S, and we need one. So if you know of anyone, please contact Thomas. He uses surnames, clan maps, matches, history and census records to reveal surname clusters. One tidbit he mentioned is that if you don’t know the family ethnicity, look at the 1911 census records and their religion will often tell you. Hmm, never thought of that, especially since our American ancestors left the homeland long ago. But those remaining in the homeland are very unlikely to change, at least not in masse. I’m glad he gave this presentation, or I would never have found his webpage and I can’t wait to apply these tools to some of my sticky-wickets. This ended Saturday’s sessions, but at the end of every day, written questions are submitted for that day’s presenters or for Family Tree DNA. Bennett indicated that another 3000 or 4000 SNPs will be added to the Family Finder calculations and a new version based on reference samples from multiple sources will be released in January. Bennett also said that if and when Ancestry does provide the raw downloadable data to their clients, they will provide a tool to upload so that you can compare 23andMe and Ancestry both with your Family Finder matches. Saturday evening is the ISOGG reception, also called the ISOGG party. Everyone contributes for the room and food, and a jolly good time is had by all. There is just nothing to compare with face to face communications. For me, and for a newly found cousin, this was an amazing event. A person named Z. B. Stroud left me a message that she was looking for me. When I found her, along with her friend and cousin Revis, she tells me that she matches me autosomally, at 23andMe, and that she had sent me a sharing request that I had ignored. I am very bad about that, because unless someone says they are related, I presume they aren’t and I don’t like to clutter up my list with non-related people. It makes comparisons difficult. My bad. In fact, I’m going right now to approve that sharing request!!! I will blog about this in the future, but without spilling too many beans….we had a wonderful impromptu family reunion. We think our common ancestor is from the Halifax and Pittsylvania County region of Virginia, but of course, it will take some work to figure this out. I’m also cousins with Revis Leonard (second from left). We’ve known that for a long time, but Z.B. whose first name is Brisjon (second from right) is new to genealogy, DNA and cousin matching. I’m on the right above. 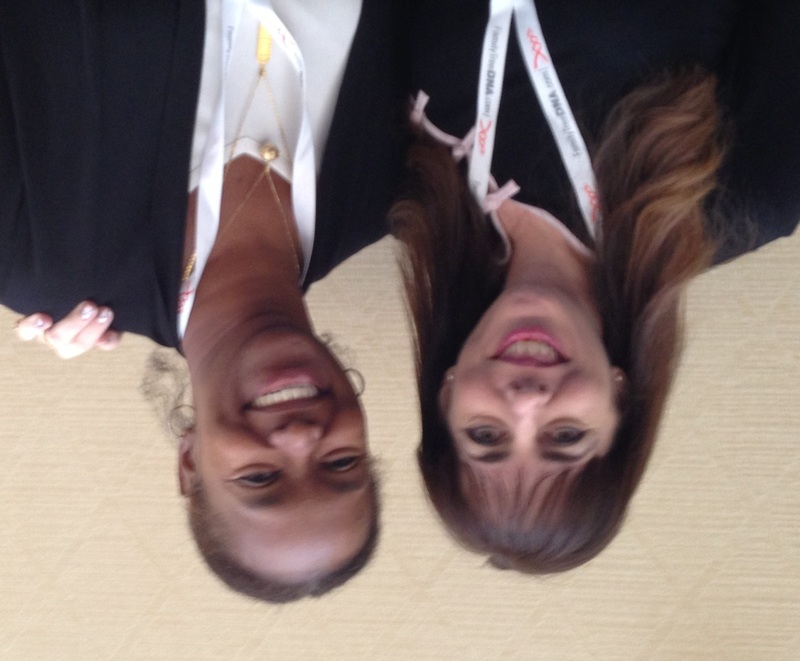 The Stroud project administrator, Susan Milligan, also related to Brisjon is on the left end. In the center are Brisjon’s two cousins who came to pick her up for dinner and whom she was meeting for the first time. But that’s not all all, cousin Brisjon also matches Catherine Borges. Let me tell you, I know who got the tall genes in this family, and I’m not normally considered short. Brisjon’s genealogical journey is incredibly amazing and she will be sharing it with us in an upcoming book. Suffice it to say, things are not always what you think they are and Brisjon is living proof. She also met her biological father for the first time this weekend! I’m sure Houston and her 2012 visit where she met so many family members is a watershed event in her lifetime! She is very much a lovely lady and I am so happy to have met her. Cousins Rule! ISOGG traditionally has its meeting on Sunday morning before the first session. Lots of sleepy people because everyone has so much fun at the ISOGG party and stays up way too late. Alice Fairhurst, who has done a remarkable job with the ISOGG Y SNP tree (Thank you Alice!) knows an avalanche is about to descend on her with the new Geno 2.0 chip. They are also going to discontinue the haplogroup names, because they pretty much have to, but will maintain an indented tree so you can at least see where you are. The names are becoming obsolete because everytime there is an insertion upstream, everything downstream gets renamed and it makes us crazy. It was bad enough before, but going from 860+ branches to 6150+ in one fell swoop and knowing it’s probably just the beginning confirms the logic in abandoning the names. However, we have to develop or implement some sort of map so you can find your relative location (no pun intended) and understand what it means. Alice also mentioned that they need people to be responsible for specific haplogroups or subhaplogroups and they have lost people that have not been replaced, so if anyone is willing or knows of anyone….please contact Alice. 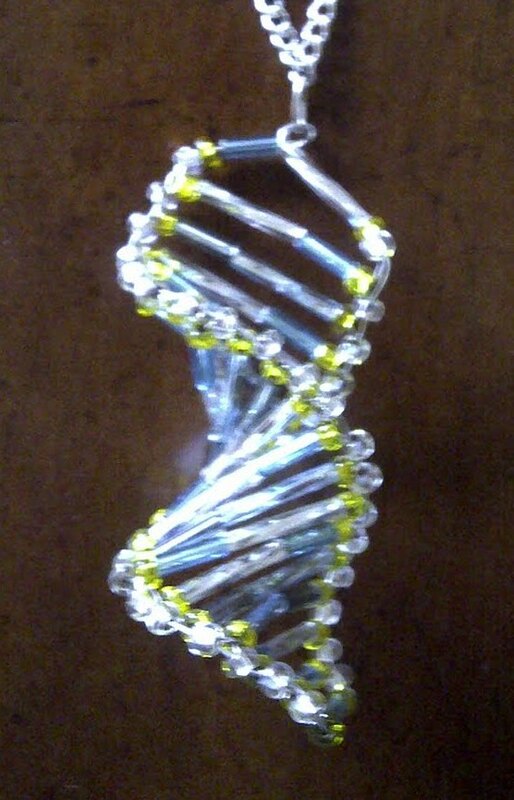 Alice also makes wonderful beaded double helix necklaces. Brian Swann (sorry, no picture) is visiting from England this year and he spoke just a bit about British records. He said it’s imperative to learn how they work and to use some of the British sites where they have been indexed. He also reminded us to check GOONS (Guild of One Name Studies) for our surnames and that can help us localize family groups for recruiting. He said that you may have to do family reconstructions because to get a Brit to test you have to offer them something. That’s not terribly different from over here. He also mentioned that today about half of the British people having children don’t marry, so in the next generation, family reconstruction will be much more difficult. That too isn’t so terribly different than here, although I’m not sure about the percentages. It’s certainly a trend, as are varying surname practices even within marriage. Dr. Doron Behar began the official Sunday agenda with a presentation about the mtCommunity and a discussion of his recently published paper “A ‘Copernican’ Reassesement of the Human Mitochondrial DNA Tree from its Root.” This paper has absolutely revolutionized the mitochondrial DNA community. I blogged about this when the paper was first released and our home pages were updated. One point he made is that it is important to remember is that your mutations don’t change. The only thing that changes between the CRS (Cambridge Reference Sequence) and the RSRS (Reconstructed Sapiens Reference Sequence) model is what your mutations are being compared to. Instead of being compared to someone from Europe who live in 1981 (the CRS) we are now comparing to the root of the tree, Mitochondrial Eve (RSRS) as best we can reconstruct what her mitochondrial DNA looked like. He also said that when people join the mtCommunity, their results are not automatically being added to GenBank at NCBI. That is a separate authorization check box. A survey was distributed to question participants as to whether they want results, when they select the GenBank option, to be submitted with their kit number. Now, they are not, and they are under Bennett’s name, so any researcher with a question asks Bennett who has no “track back” to the person involved. About 6000 of the 16,000 submissions today at GenBank are from Family Tree DNA customers. Dr. Behar said that by this time next year, he would expect it to be over half. 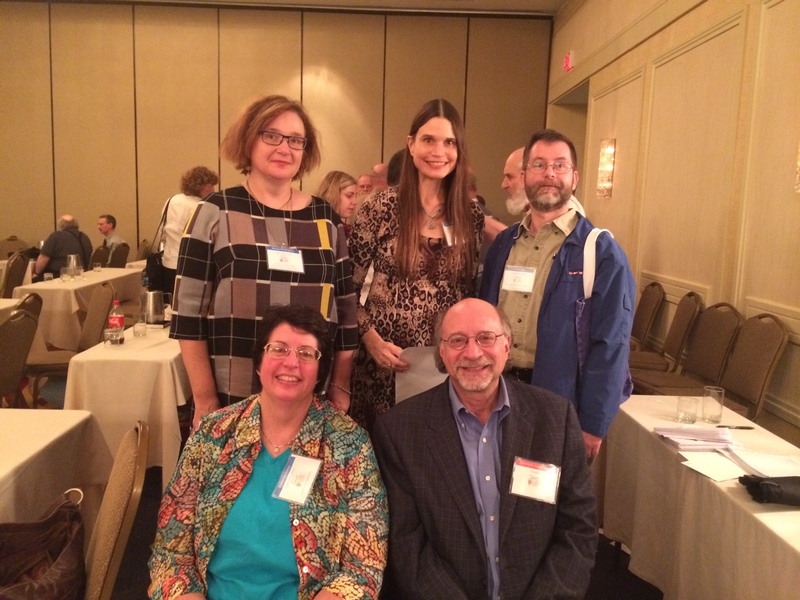 Once again, genetic genealogy pioneers are leading the way! At these conferences, there is always one session that would be considered the keynote. Normally, it’s Spencer Wells when he is on the agenda, and indeed, his session was wonderful. But at the 2012 conference, this next session absolutely stole the show. Less public by far, and much less flashy, but at the core root of all humanity. You can’t really tell from the title of this session what is coming. 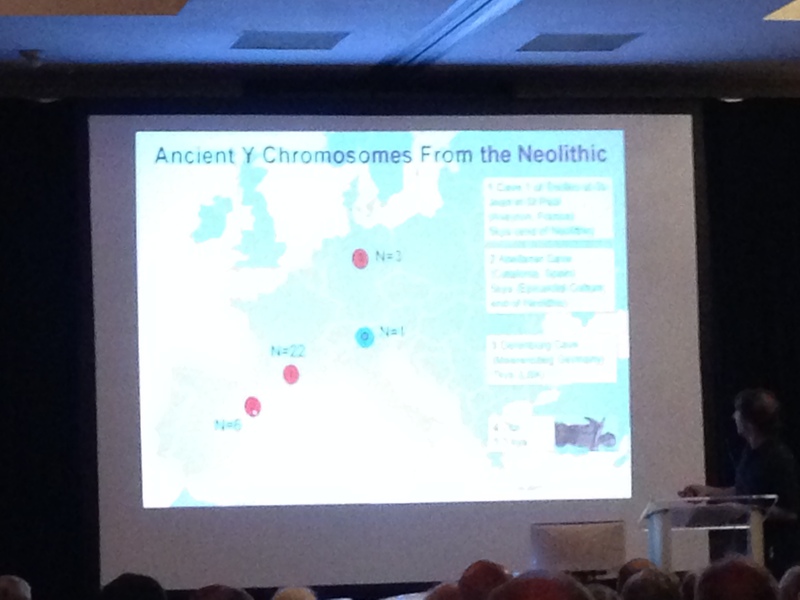 Michael Hammer with Thomas Krahn and Bonnie Schrack, one of our own citizen scientists, presented something called “A Highly Divergent Y Chromosome Lineage.” Yawn. But the content was anything but yawn-material. We literally watched scientific discovery unfold in front of our eyes. 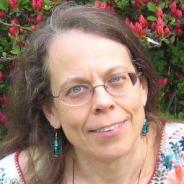 Bonnie Schrack is the haplogroup A project administrator. Haplogroup A is African and is at the root of the entire haplotree. One of Bonnie’s participants, an African American man from South Carolina agreed to participate in WTY testing. In a nutshell, when Thomas and Astrid began scoring his results, they continued and continued and continued, and wound up literally taking all night. At dawn’s first light, Thomas told Astrid that he thought they had found an entirely new haplogroup that preceded any known today. But he was too sleep deprived to be sure. Astrid, equally as sleep deprived, replied with “Huh?” in disbelief. It’s certainly not a statement you expect to hear, even once in your lifetime. This is a once in the history of mankind event. Dr. Michael Hammer confirmed that indeed, they had discovered the new root of the human Y tree. And not by a little either, but by a lot. For those who want to take a look for yourself, Ysearch ID 6M5JA. Hammer’s lab did the age projection on this sample, and it pushed the age of hominid men back by about 100,000 years, from 140,000 years ago to 237,000 years ago. They then reevaluated the aging on all of the tree and have moved the prior date to about 200,000 years ago and the new one to about 338,000 years ago with a 98% confidence level. This is before the oldest fossils that have been found, and also before the earliest mitochondrial DNA estimate, which previously had been twice as old as the Yline ancestor. The previous root, A1b has been renamed A0 and the new root, just discovered is now A00. Any other new roots discovered will simply get another zero appended. How is it that we’ve never seen this before? Well, it turns out that this line nearly went extinct. Cruciani published a paper in 2012 that included some STR values that matched this sample, but fortunately, Michael Hammer’s lab held the actual samples. A search of academic data bases reveals only a very few close matches, all in western Cameroon near the Gulf of Guinea. Interestingly, next door, in Nigeria, fossils have been found younger than this with archaic features. This is going to cause us to have to reevaluate the source of this lineage and with it the lineage of all mankind. We must now ask the question about whether perhaps we really have stumbled upon a Neanderthal or other archaic lineage that of course “became” human. Like many scientific discoveries, this answer only begs more questions. My husband says this is like Russian tea dolls where ever smaller ones are nested in larger ones. This discovery changes the textbooks, upsets the proverbial apple cart in a good way, and will keep scientists’ thinking caps on for years. And to think, this was a result of one of our projects, an astute project administrator (Bonnie) and a single project member. I wonder what the man who tested thinks of all of this. He is making science and all he thought he was doing was testing for genealogy. You just never know where the next scientific breakthrough will come from. Congrats to all involved, Bonnie, Thomas, Michael and to Bennett and Max for having this evolution revolution happen right in their lab! If I felt sorry for Judy following Spencer, I really felt sorry for the breakout sessions following Thomas, Michael and Bonnie’s session. Thankfully at least we had a break in-between, but most people were wandering around with some degree of stunned disbelief on their faces. We all found it hard to fathom that we had been among the first to know of this momentous breakthrough. I had a hard time deciding which session to attend, CeCe’s “Family Finder” session or Elise’s. I decided to attend Elise’s “Advanced Admin Techniques” because I work with autosomal DNA with my clients and I tend to keep more current there. Elise’s session was great for newer admins and held tips and hints for us old-timers too. I realized I really need to just sit down and play with all of the options. There are some great new features built in that I’ve never noticed. For example, did you know that you can group people directly from the Y results chart without going to the subgrouping page? It’s much easier too because it’s one step. However, the bad news is that you still can’t invite someone who has already tested to join your project. Hopefully that feature will be added soon. The next session was “A Tale of Two Families” given by Rory Van Tuyl detailing how he used various techniques to discern whether individuals who did not show up as matches, meaning they were beyond the match threshold, were actually from the same ancient family or not. Rory is a retired engineer and it shows in his attention to detail and affinity for math. We always tell people that mutations can and do happen at any time, but Rory proved this. He ran a monte-carlo simulation and showed that in one case, it was 50 generations between mutations, but in others, there was one mutation for three generations in a row. Mutations by no means happen at a constant rate. Of course, this means that our TIP calculator which has no choice but to use means and averages is by definition “not calibrated” for any particular family. He also mentioned that his simulation shows that by about 150 generations, there are a couple of back mutations taking place. The final session before the ending Q&A was Elliott speaking about IT, which really translates into new features and functions. Let’s face it, today everything involves IT. Again, I was having trouble typing fast enough, so you might want to check the Twitter feed. They added the SNP maps (admins, please turn them on) and the interactive tour this year. The tour isn’t used as much as it should be, so everyone, encourage your newbies to do this. They have also added advanced matching, which I use a lot for clients, but many people didn’t realize it. So maybe a quick tour through the website options might be in order for most of us. They are handling 50 times more data now that a year ago. Just think what next year will bring. Wow. They are going to update the landing page again with more color and more visible options for people to do things. I hope they prompt people through things, like oldest ancestor mapping, for example. Otherwise, if it isn’t easy, most don’t. They are upgrading Population Finder and the Gedcom viewer. They are adding a search feature. Thank you!! Older Gedcome will still be there but not searchable. But the best news is that they are adding phasing (parent child) and an advanced capability to “reconstruct” an ancestor using more distant relatives, then the ability to search using that ancestral profile against Family Finder. Glory be! We are finally getting there. Maybe my dreaming big wasn’t as far away as I thought. They will also remove the 5 person autosomal download restriction and the “in common with” requirement to see additional information. All good news. They are also upgrading the Chromosome browser to add more filtering options. They are also going to offer a developer “sandbox” area for applications. The final Q&A session began with Bennett saying that their other priorities preclude upgrading Y search to 111 markers. They are not planning to drop the entry level tests, 12 or 25 markers or the HVR1. If they do, lots of people will never take that plunge. I was very glad to hear this. And by way of trivia, Family Tree DNA has run more than 5 million individual tests. Wow, not bad for a company that didn’t exist, in an industry that didn’t exist, 12 years ago! It’s an incredible time to be alive and to be a genetic genealogist! Thank you Family Tree DNA for making all of this possible. In the fall of 2010, Lenny Trujillo embarked on a journey unaware that he was going anyplace. That was the journey to discover himself, his ancestry….and what a journey it has been. Lenny was unique, very unique. After Lenny’s results came back, he purchased a DNA Report. In the process of analyzing his DNA, I realized what an opportunity was at hand. Lenny was Native American and his Y DNA likely harbored new SNPs that would identify a new sub-haplogroup, and we needed to take a look. When I wrote Lenny and asked if he would consider a Walk the Y (WTY) test, he told me that he had retired that very day. My heart sunk, because I presumed that meant “no”, that he’d be making financial adjustments like so many retirees. But then Lenny went on to say that he wanted to proceed in order to leave a legacy for his grandchildren. And what a legacy Lenny has to leave them. Lenny made history and advanced science. Indeed, by comparing Lenny’s DNA to another European man in haplogroup Q1a3, 7 new SNPs were discovered. I wrote a paper about this process and Lenny’s contribution. This was a red letter day for Native American ancestry, as well as for Lenny, delivered as fate would have it, Christmas week. However, Lenny’s remarkable story doesn’t end there. That’s only the beginning. But, I’ll let Lenny tell his own story, in his own words. He wrote an article for the Los Angeles Beat which was published today. His story is so heartwarming and inspirational and the records that document his Native ancestry that Lenny has been able to find have been absolutely amazing. Lenny also tells his story on the Family Tree DNA YouTube Channel in various segments for those who haven’t yet seen Family Tree DNA’s infomercial. So whether you read it or watch it, or both, come along, share Lenny’s journey, and enjoy! What the Heck is WTY? What the heck is WTY….and why do I care? One of the reasons I started a blog is to continue what I do for my clients when I write their DNA reports. I make DNA understandable and fun for the normal air-breathing genealogist. The past few days has been a whirlwind of information and announcements, some which tend to leave folks who don’t have a lot of experience in the dust. For that, I do apologize. However, I’d like to tackle a much easier topic now, and that’s the WTY test. What is it and why is it so important? WTY is short for Walk the Y, as in walk down the Y chromosome. The tests we all order and love, at Family Tree DNA, that would be the 12, 25, 37, 67 and 111 marker tests, tell us about genealogy – who we are related to in the past several hundred years. Deeper ancestry, anthropological in nature, a line I draw about the time when surnames were being adopted, is different and little information of that nature is exposed by the STR (short tandem repeat) genealogy markers. By the way, short tandem repeat means those locations in our DNA that are prone to develop repeated sequences. Think of them as genetic stutters. They are important to us as genealogists, because on the Y chromosome, we count the number of those stutters and that is the marker value reported. For example, below, we see that for marker 393, we have a value of 13. That means there were 13 repeats of the same sequence. Obviously, combining all of these sequences, or marker values, together creates our own genealogical genetic profile or fingerprint. This, of course, is what we use to compare to others to see whom we match. However, deep ancestry, identified by our haplogroup, is determined by a different kind of mutation, called a SNP, a single nucleotide polymorphism. These are mutations that happen in only one location, and they are considered to be once in the lifetime of man mutations. In actuality, these mutations sometimes happen independently in different haplogroups, but the cumulative sequence of SNP mutations defines our haplogroup. You can see, for example, below, a haplotree from a Family Tree DNA client’s results page. This person tested positive for the light green SNP, M417. The plus means that they have this specific mutation. In his case, this is his terminal SNP, meaning the one furthest down the tree that defines his haplogroup, as we know it today. That would be R1a1a1. The SNPs shown in red, below M417 are ones that he has also been tested for, but does not have, so he knows he is not a member of those haplogroups. These are shown with a minus sign, such as M56-. Now for the problem that WTY has been helping to solve. If your STR markers take you back about 500 years, in round numbers, and your haplogroup tells you where your ancestors were between 3000 and 4500 years ago, in this case, where were they in-between? What were they doing? Where did they live and how did they get from where they were 4500 years ago to where you find them 300 or 400 years ago, if you’re a lucky genealogist and can go back that far? 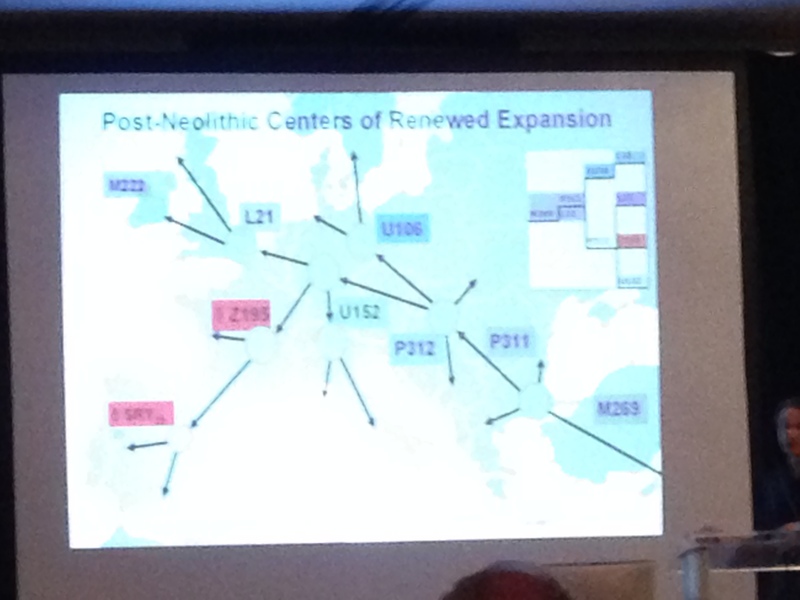 There is a significant gap in the timeframe between STR genealogy markers and haplogroup SNP markers. Finding additional SNPs will eventually close the gap between STR genealogy markers and haplogroups. We will have a complete timeline of our ancestors. In some cases, we’re even finding family-specific SNPs, known as “personal SNPs.” How cool is that? A new haplogroup is born in your family! Did you notice on the tree above that some of the SNP markers begin with L? Every SNP discovered is prefaced with a letter that tells people which lab or university discovered the SNP. The L SNPs have all been discovered at Family Tree DNA’s Genomics Lab in Houston, Texas, run by Thomas Krahn. They are the product of the WTY discovery process. When there is reason to believe that a SNP might be lurking undiscovered in the DNA of a person or a group, then the WTY becomes an option. Generally, the clue would be STR markers that are significantly different than any previously seen, or part of a small and quite unusual cluster. Today, we test all of the known downstream SNPS, the ones in red above, and then if none are found, we would apply to Family Tree DNA to do a WTY test. This test is quite labor intensive. In essence, they manually look at between 450,000 and 500,000 positions to see if they spy any new mutations. If they do, they begin the SNP naming process and the process of getting the SNP officially added onto the tree. You can see the most current haplotree (Y SNP tree) at the ISOGG site. Because of the long naming and authentication process, sometimes trees at different locations aren’t quite in sync. The ISOGG tree, maintained by volunteer genetic genealogists, has become what most people look to and use as the gold standard today. In any case, this process is how new SNPs are discovered. The Geno 2.0 project includes 12,000 SNPs for the Y chromosome, an exponential growth from the current 862, or so. At least some of these SNPs were discovered at Family Tree DNA, as a result of savvy project administrators and others who are familiar enough with DNA results to suspect that a new SNP might exist, and who advocated with the tester and Family Tree DNA for WTY testing. Hopefully, you now understand better about the WTY and why WTY tests are so critically important. How might you know if you or a family member is a good candidate? If you have tested to 67 or more markers and have no matches, you may be a candidate. You would need to do a deep clade test, which tests all relevant downstream SNPS at this point. In the past this has been the Deep Clade test, but today it would be the Geno 2.0 test. If you think you might be a candidate, you’ll want to work with your haplogroup administrator to see if there are any experimental SNPS to test for after the deep clade/Geno 2.0 is completed. The WTY is the perfect example of collaborative citizen science. Participants fund part of the testing, haplogroup administrators identify good candidates, Family Tree DNA underwrites part of the testing fee and of course performs the test, and everyone benefits. Before you know it, you’ve got 12,000 new SNPs combined with new technology that promises to do more than we’ve ever dared dream before!! !